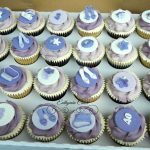 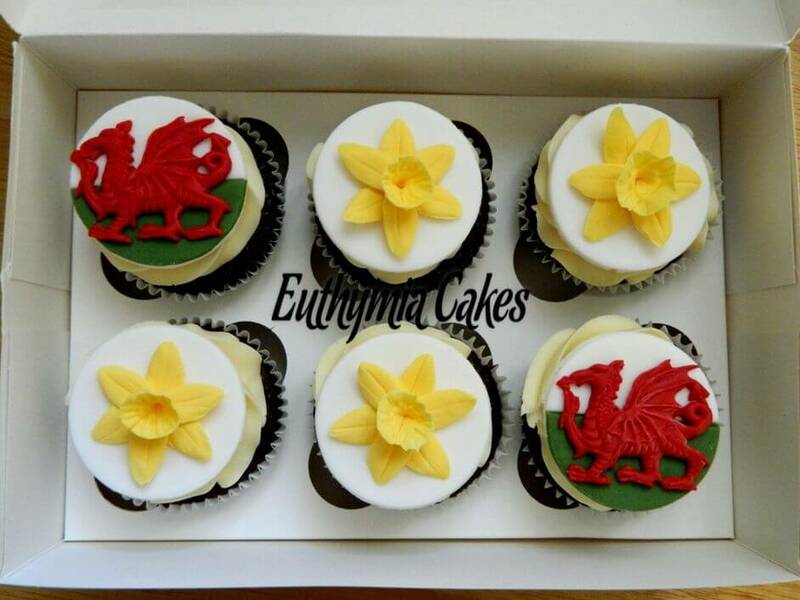 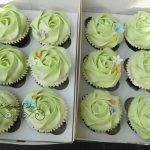 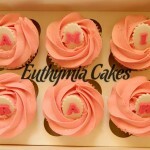 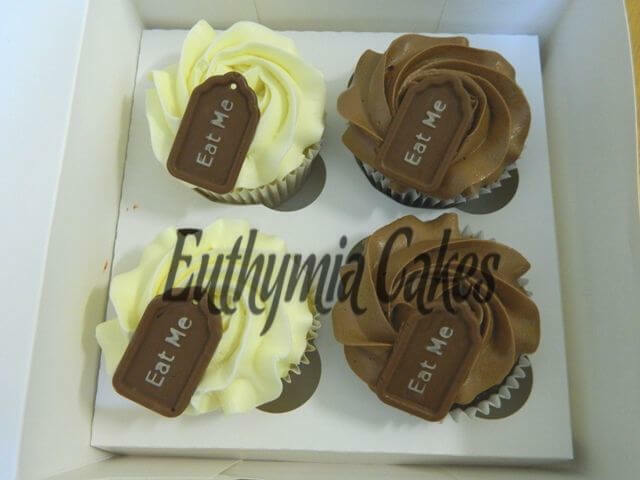 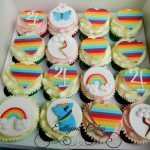 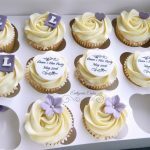 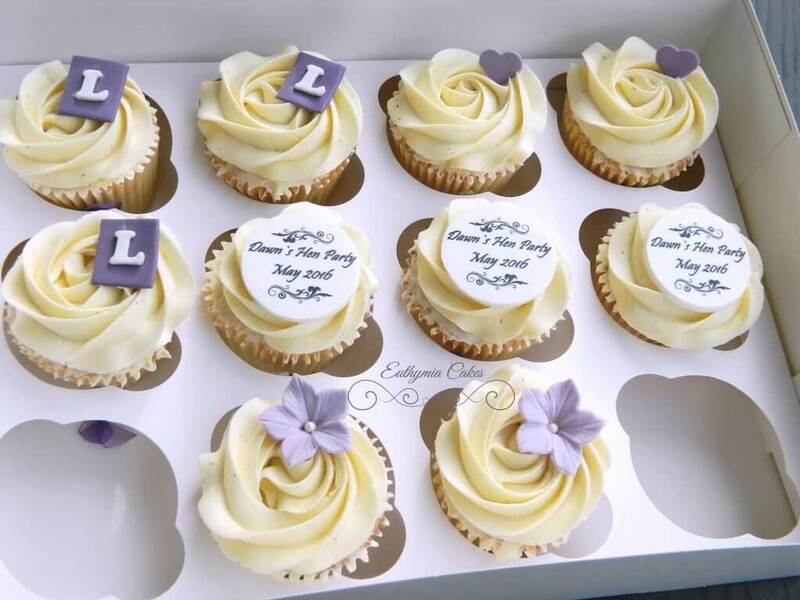 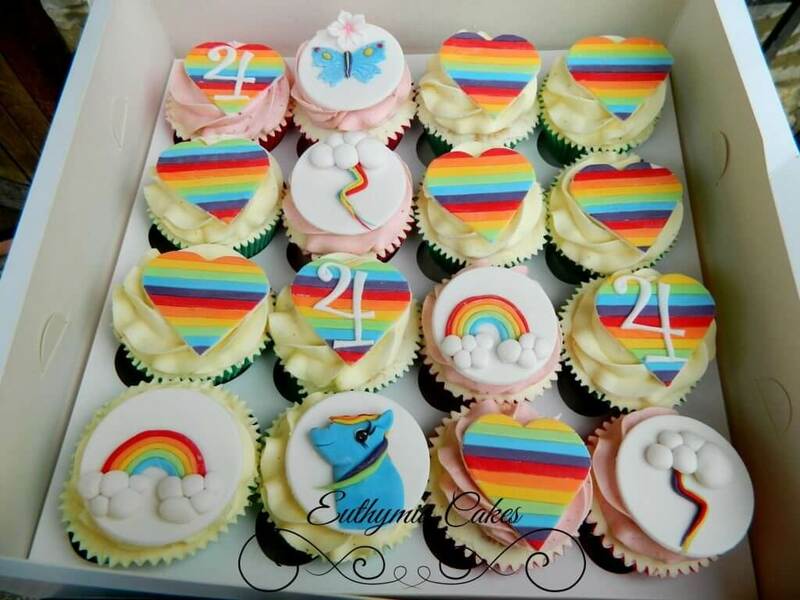 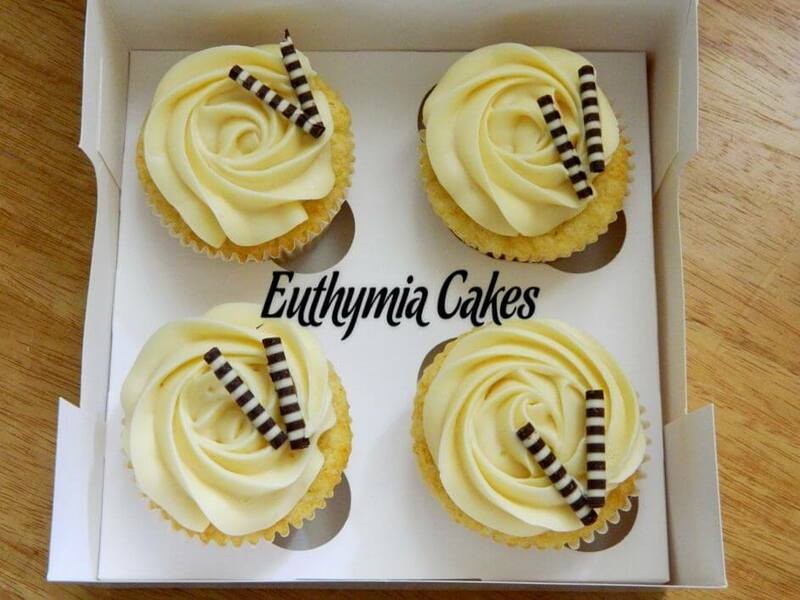 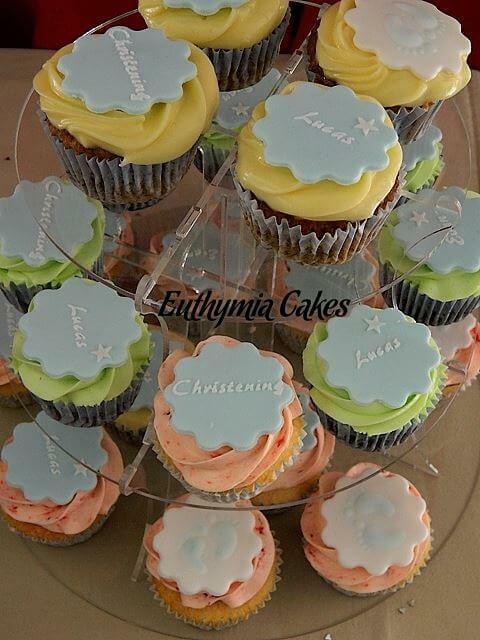 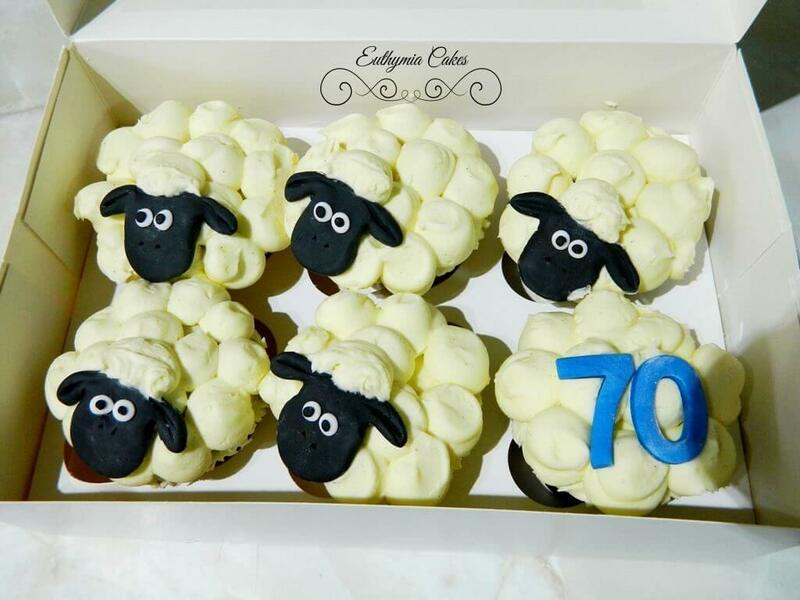 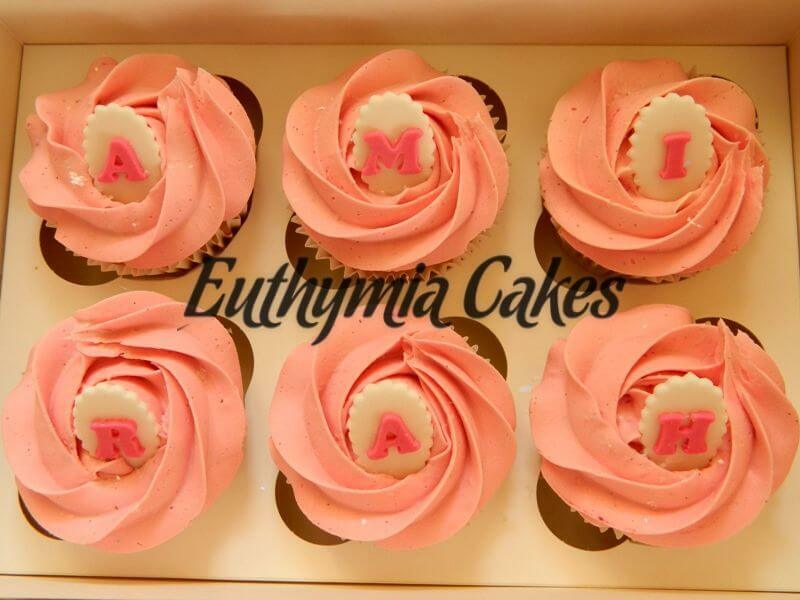 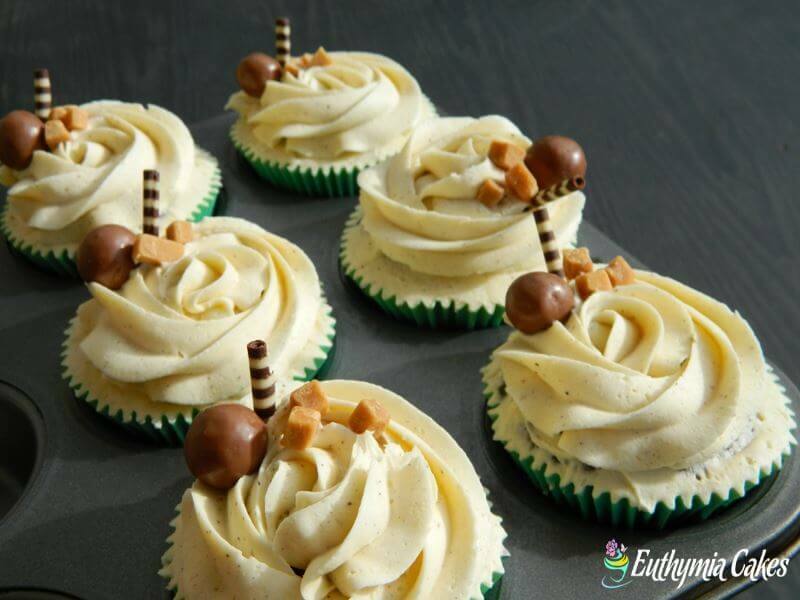 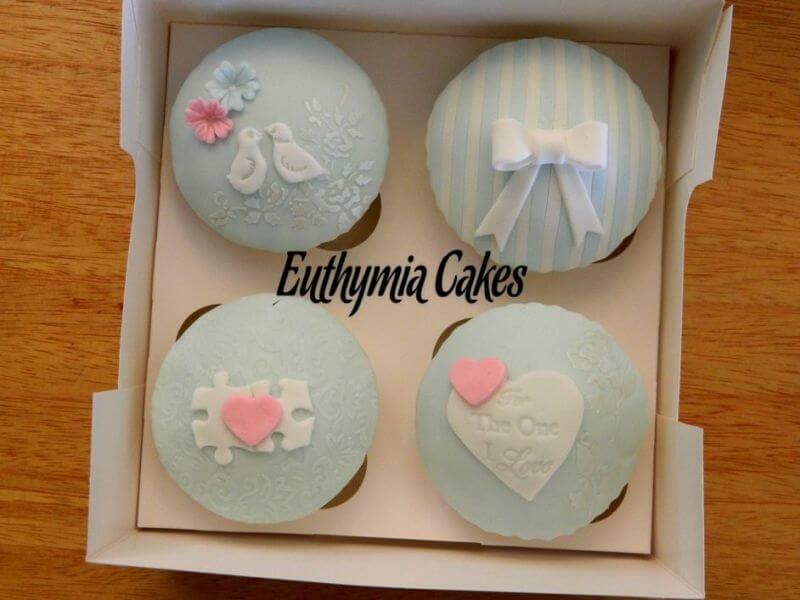 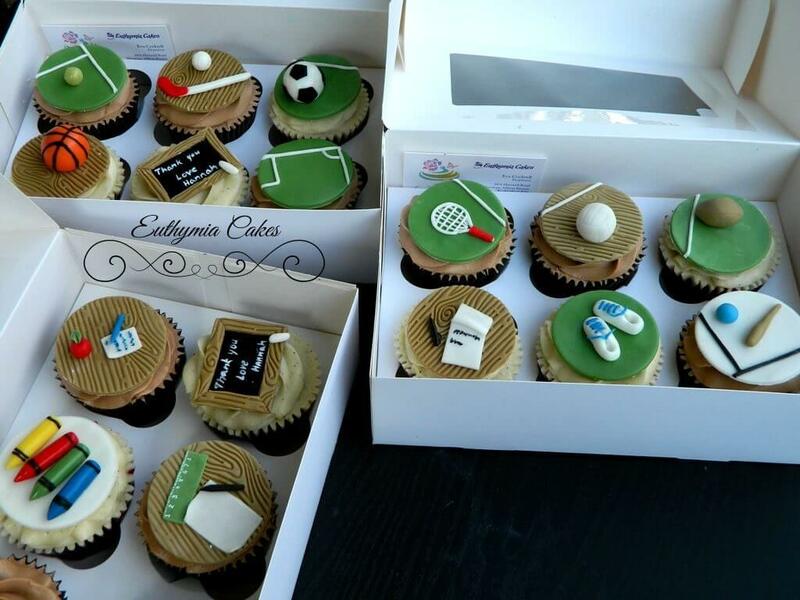 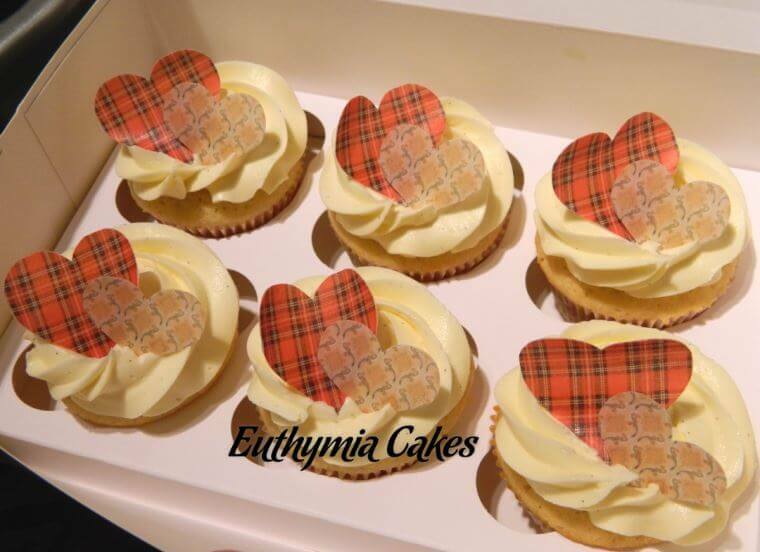 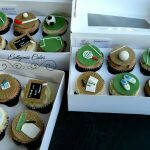 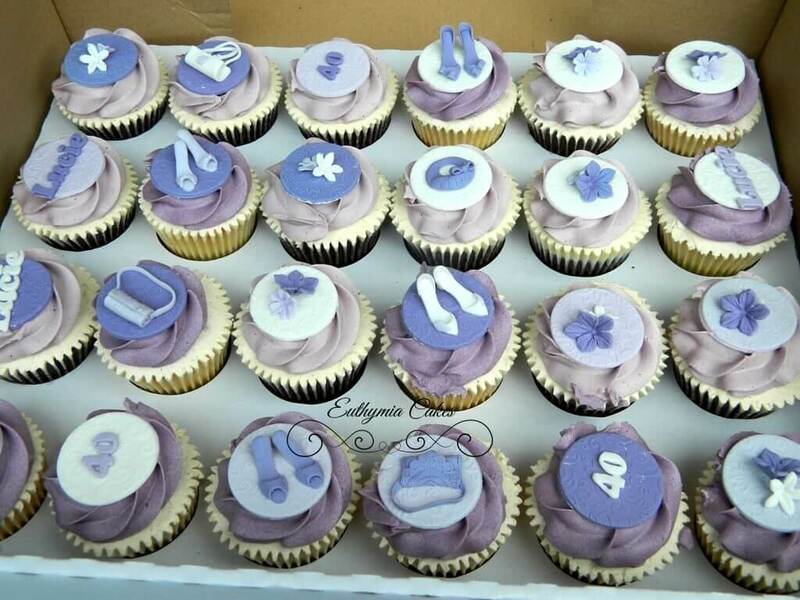 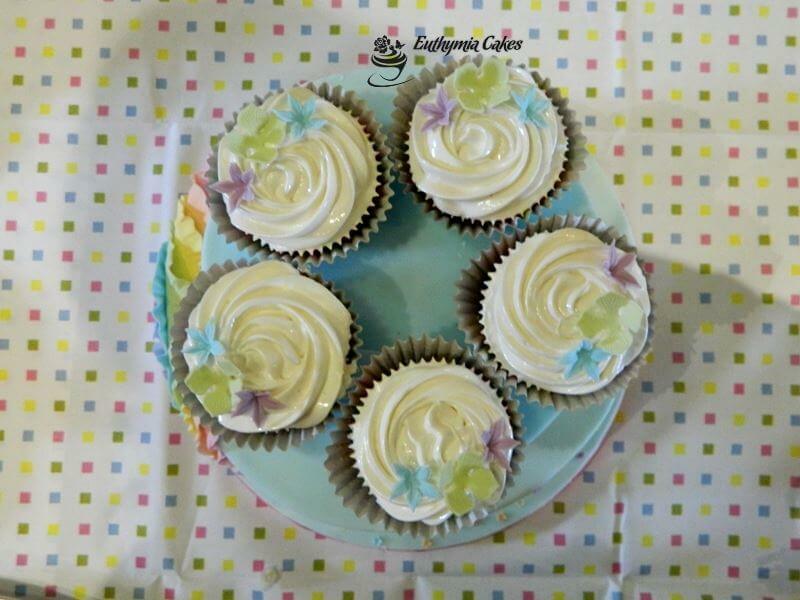 Personalised special occasion cupcakes are available in a large variety of flavours, whether it be for a special occasion, as a perfect gift or just to indulge yourself! 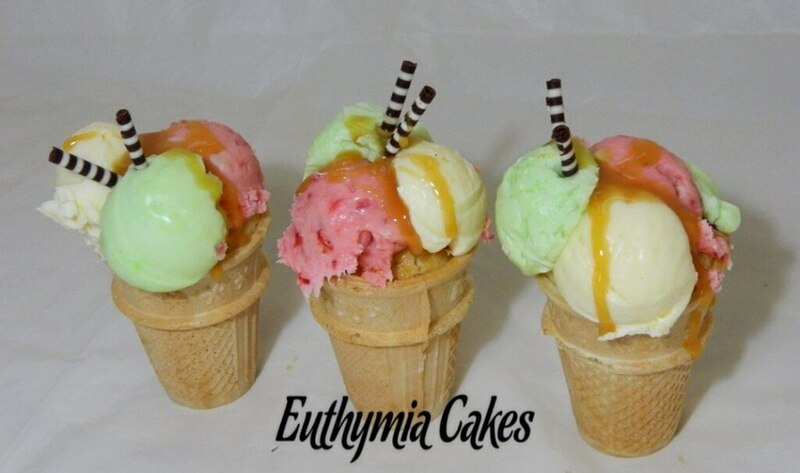 Please feel free to browse through our Flavours here. 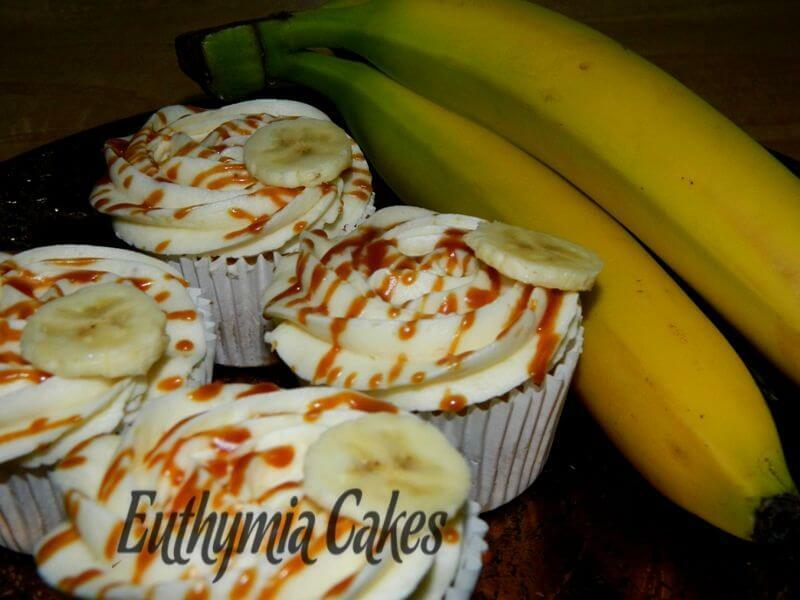 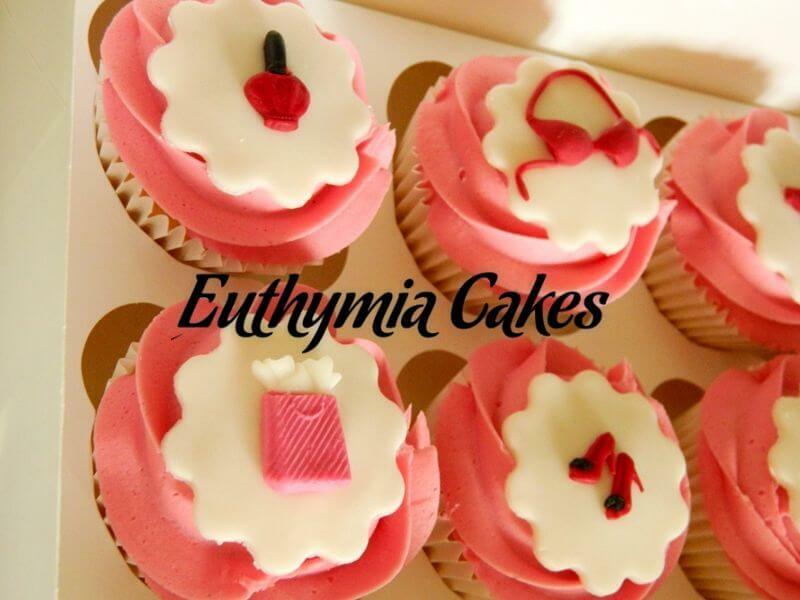 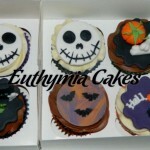 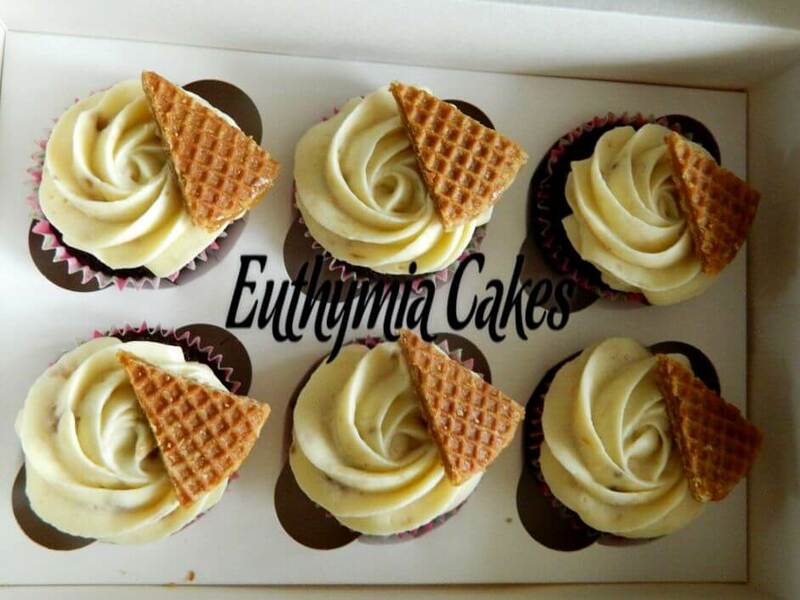 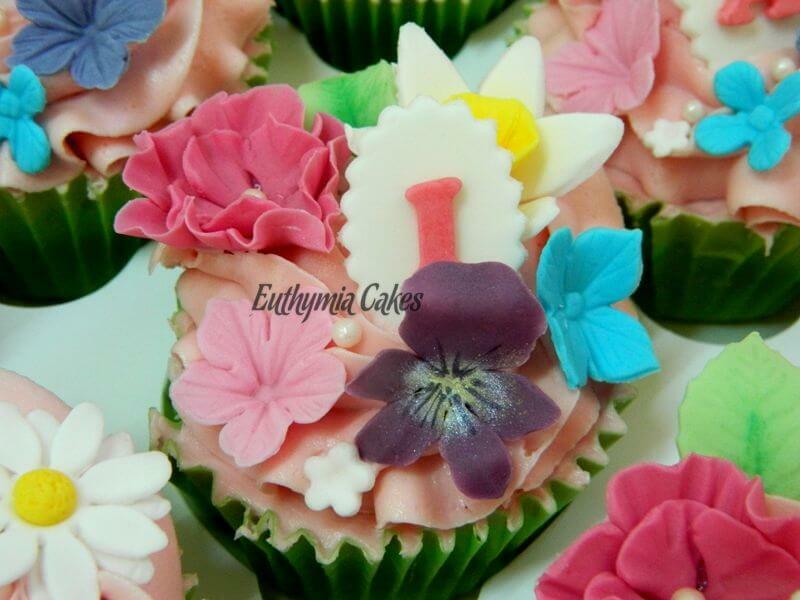 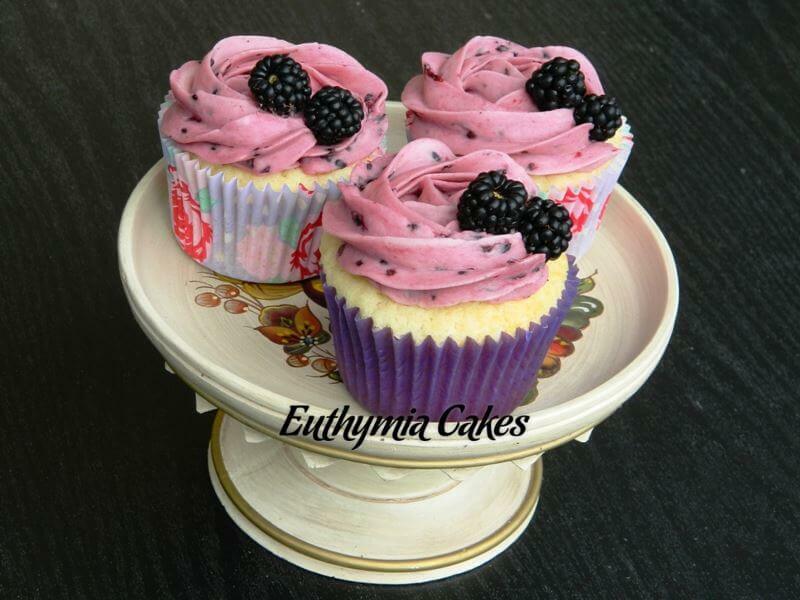 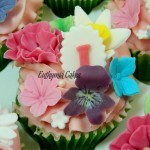 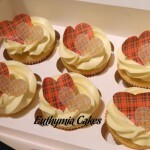 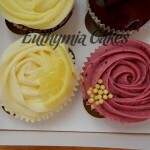 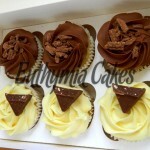 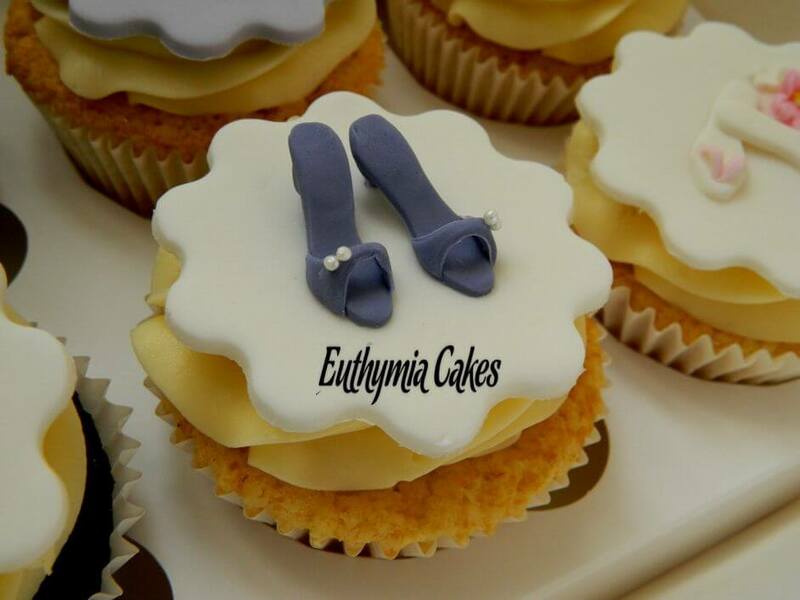 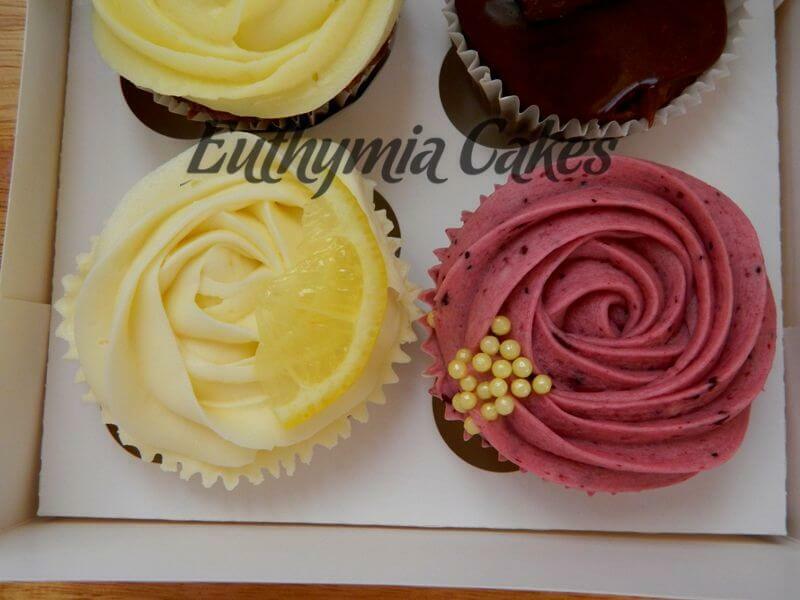 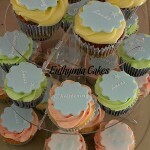 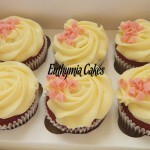 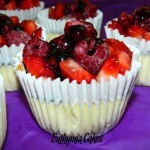 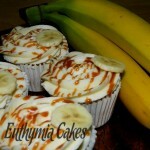 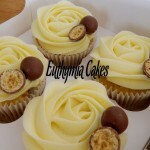 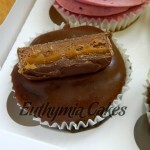 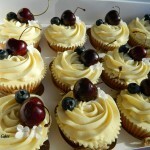 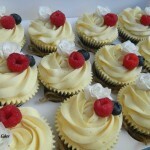 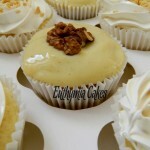 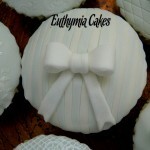 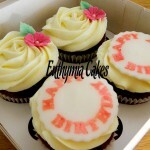 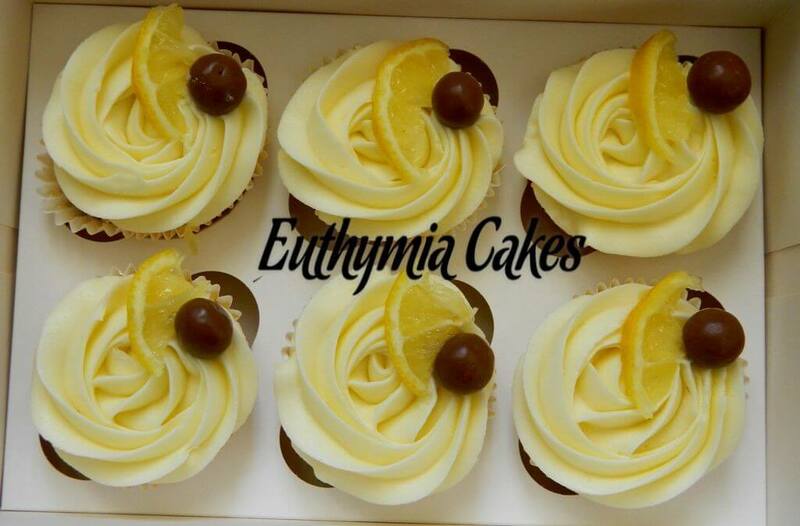 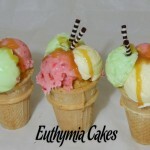 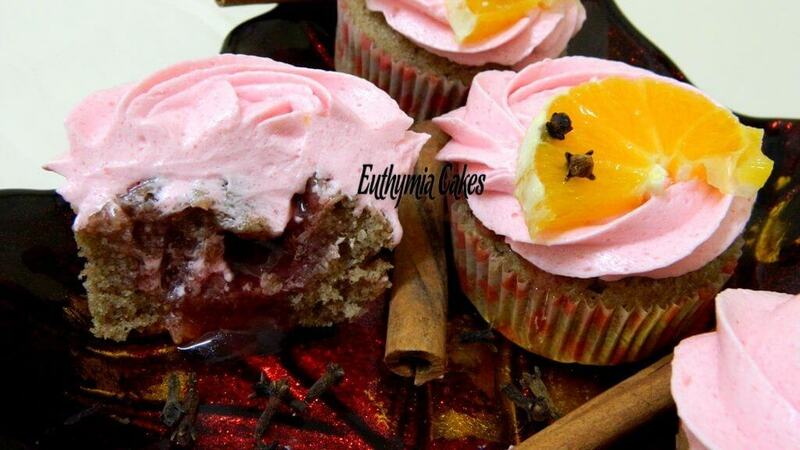 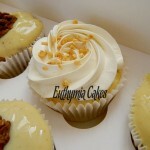 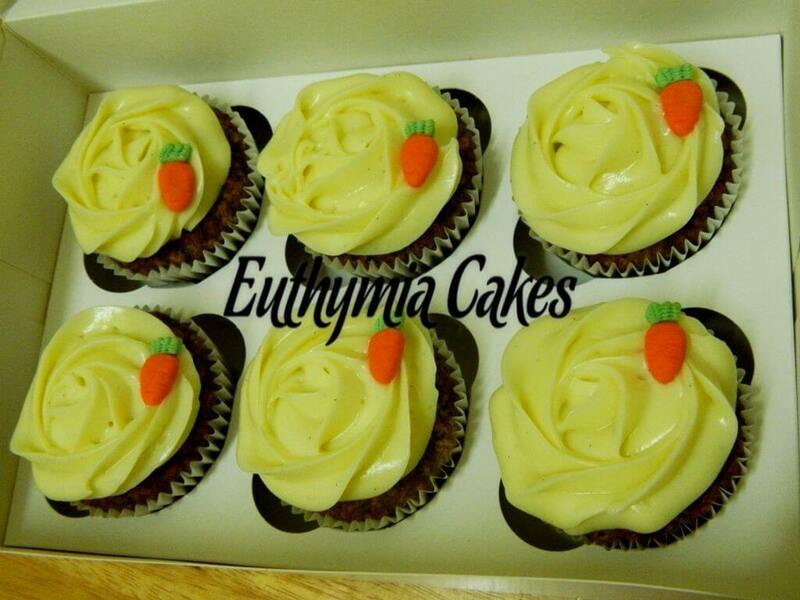 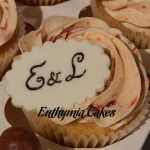 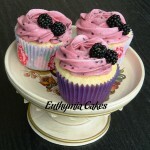 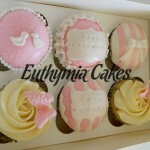 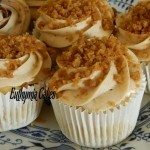 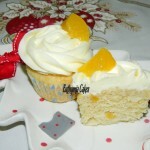 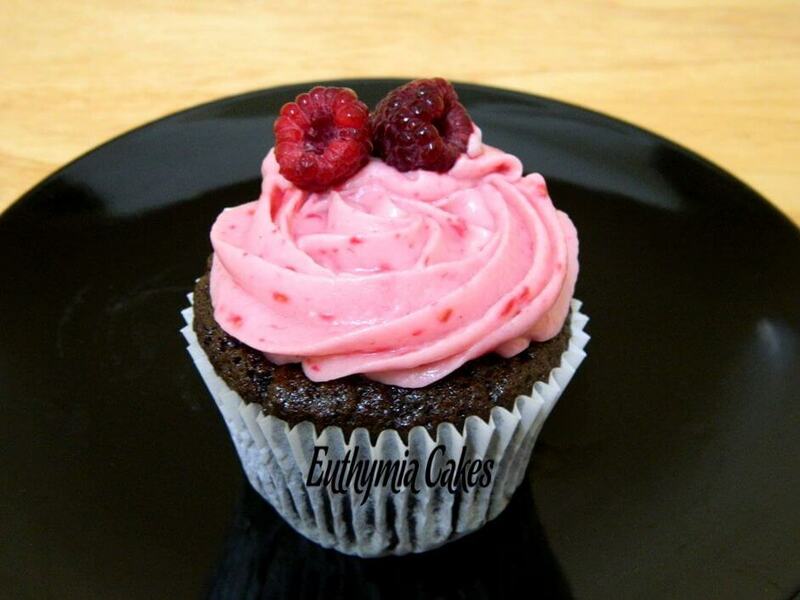 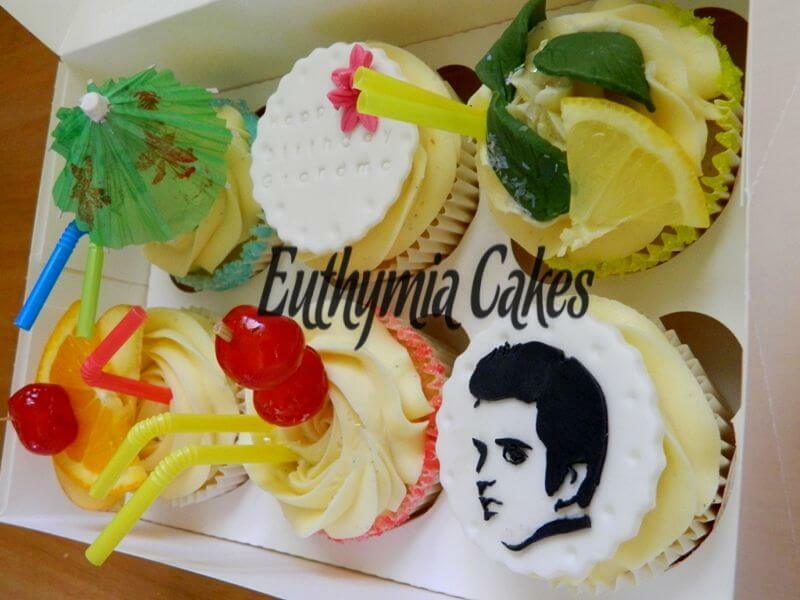 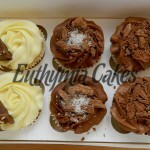 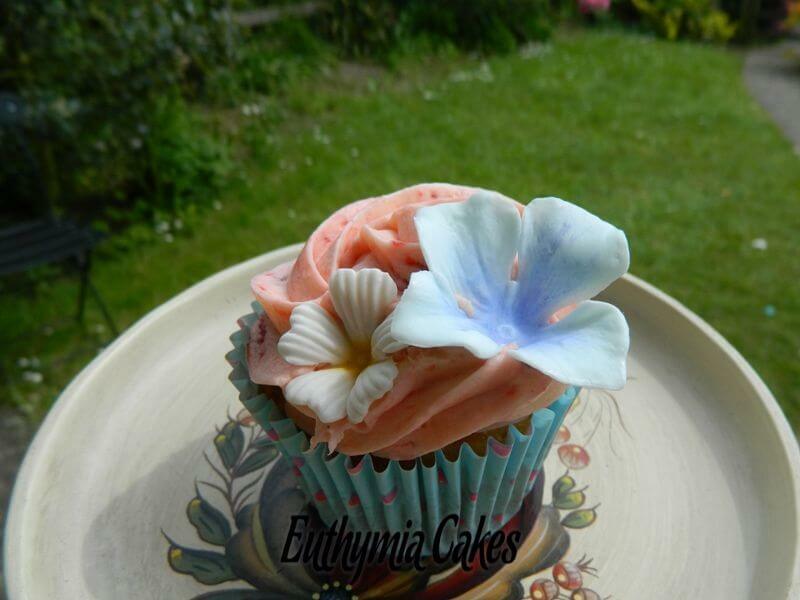 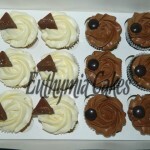 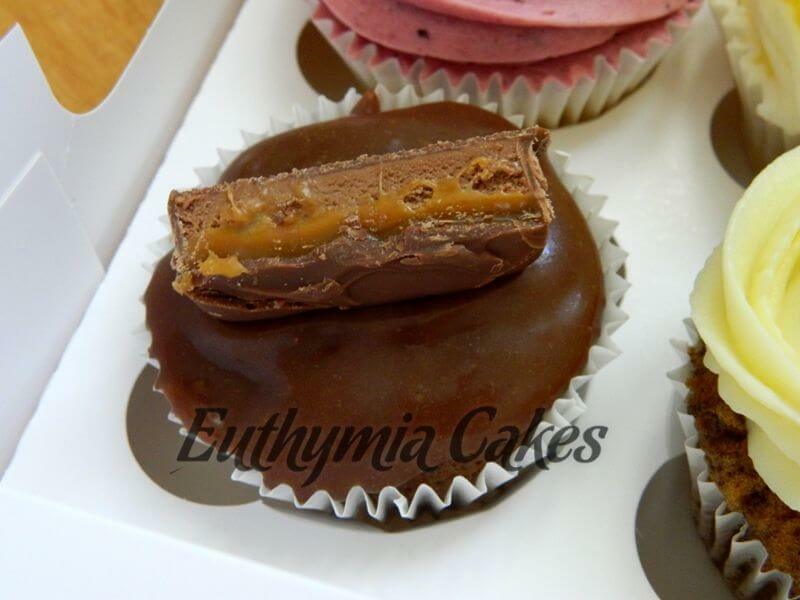 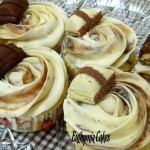 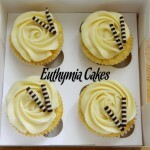 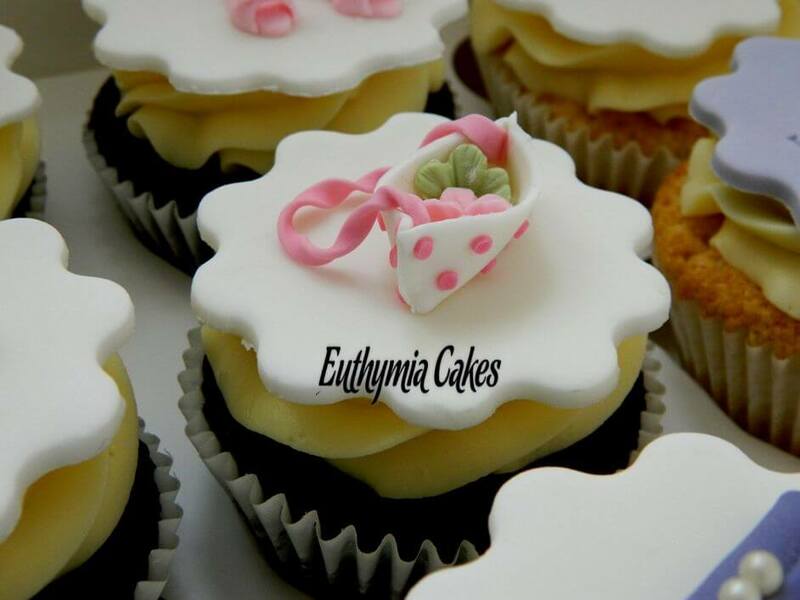 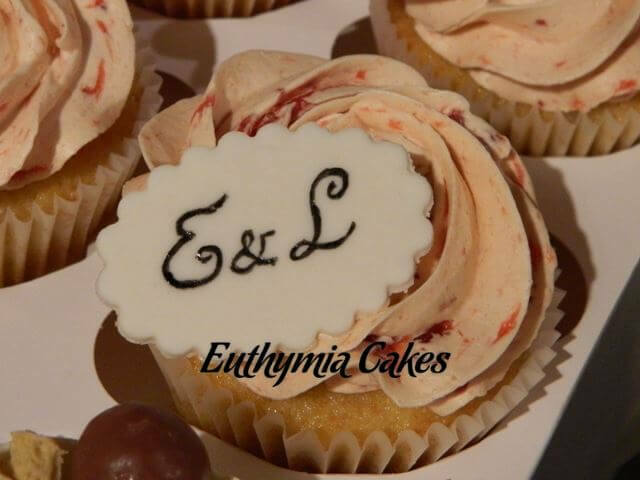 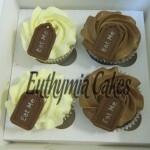 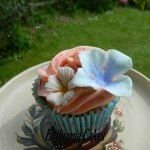 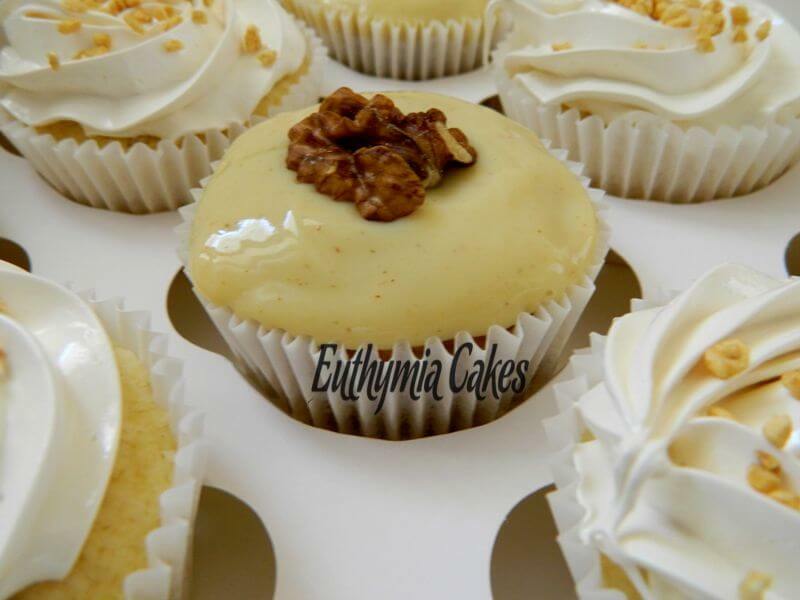 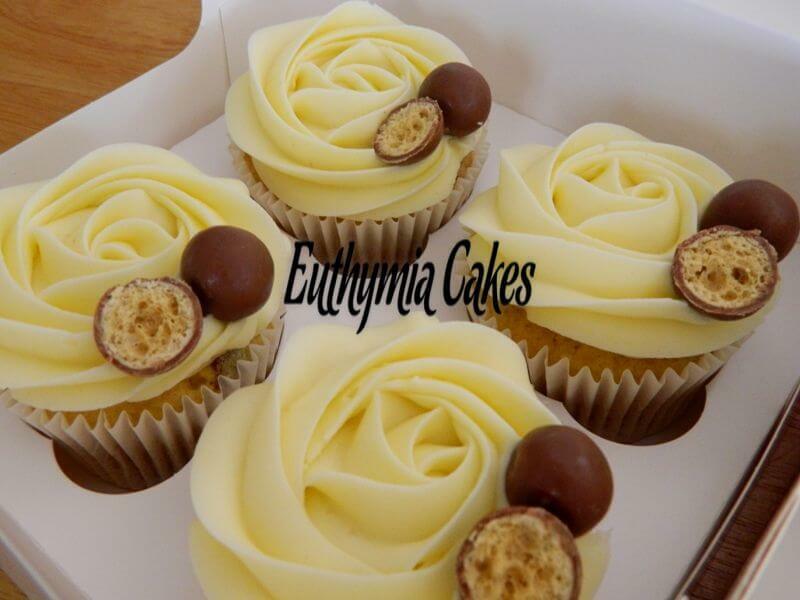 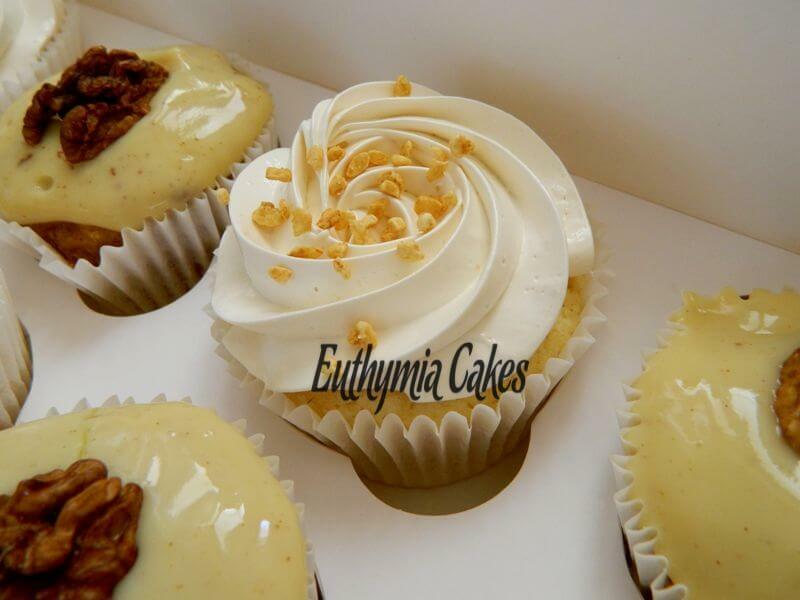 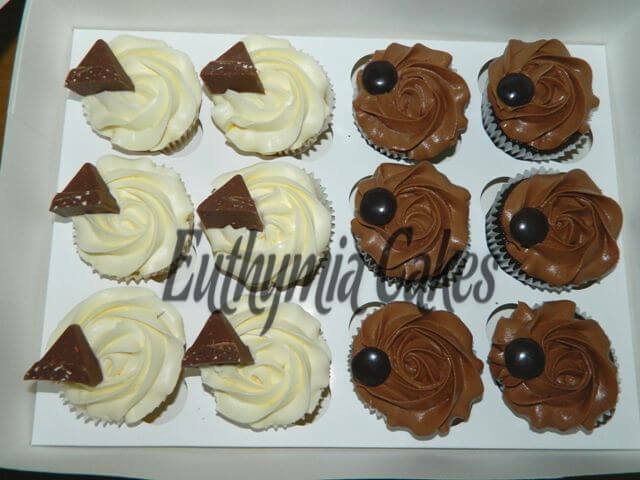 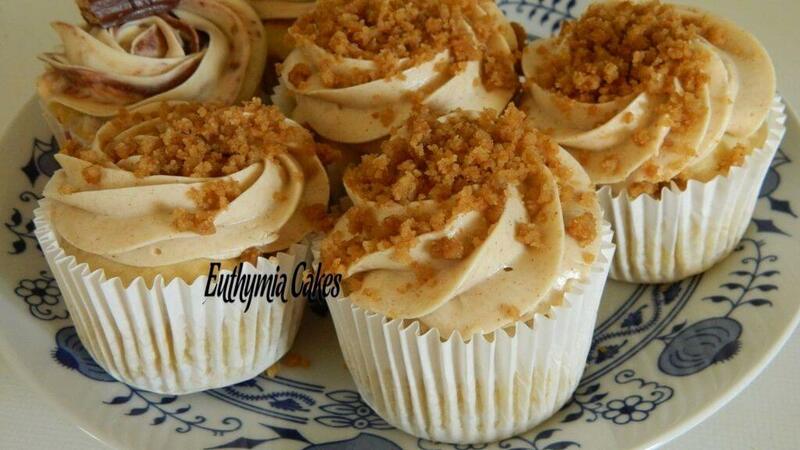 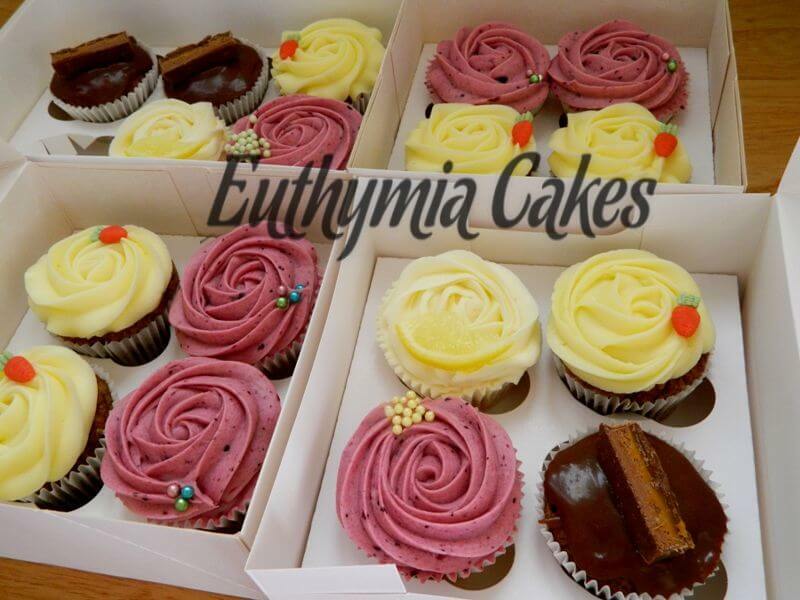 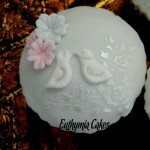 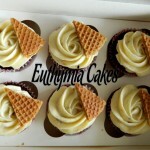 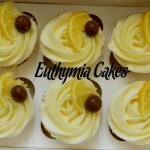 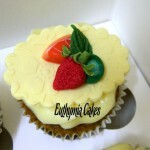 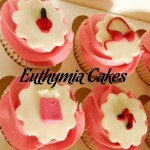 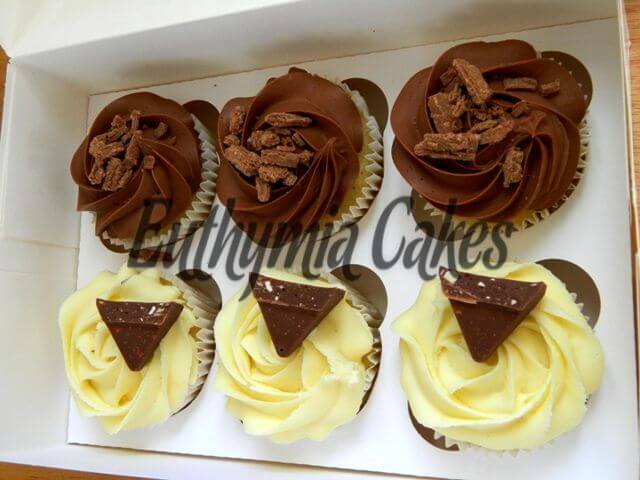 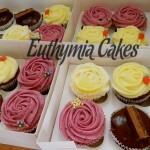 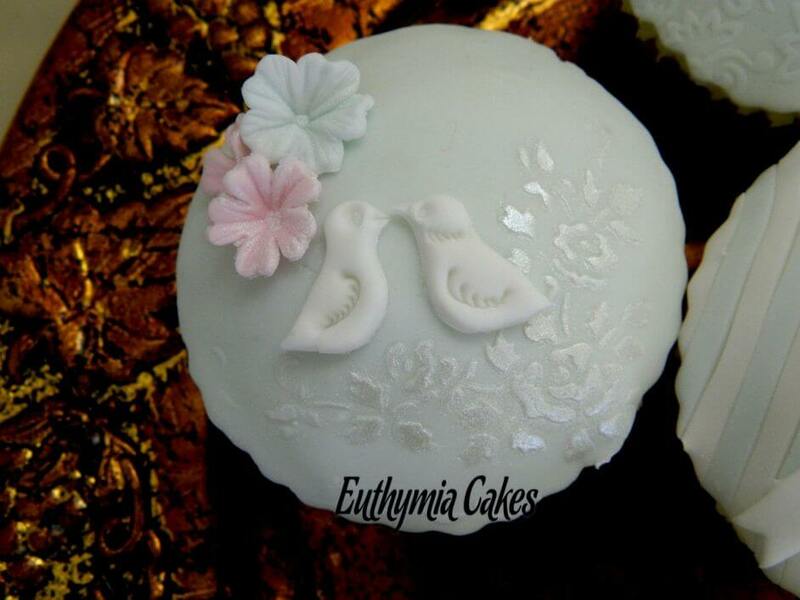 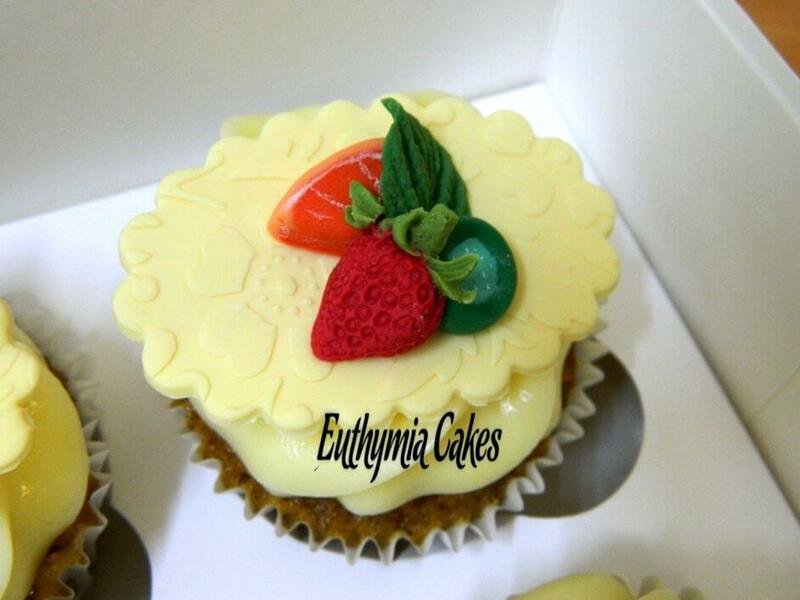 Vegetarian or Vegan, Gluten free, Dairy free and Eggless cake flavours are also available. 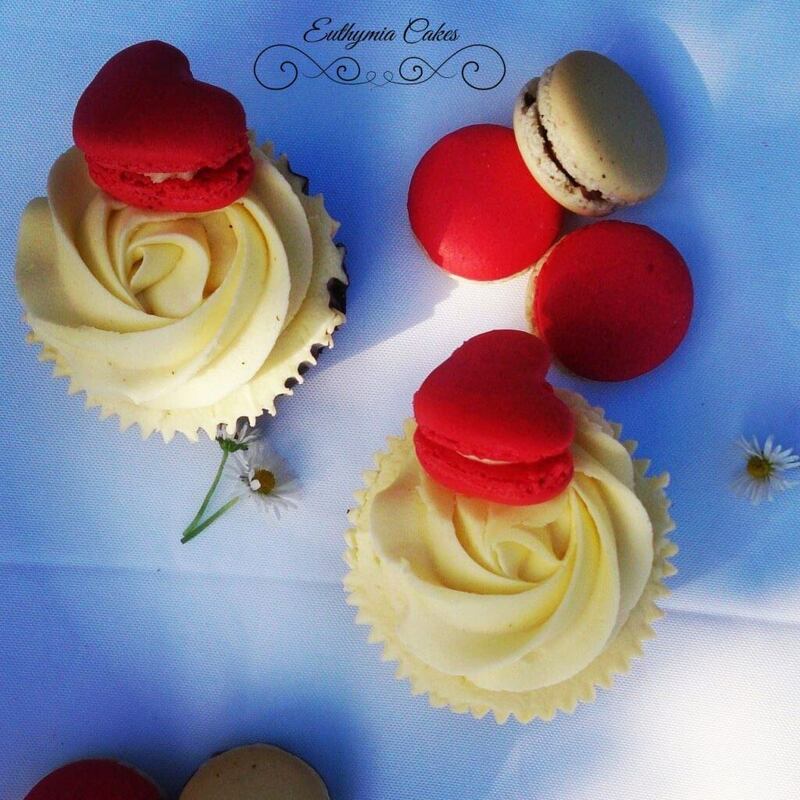 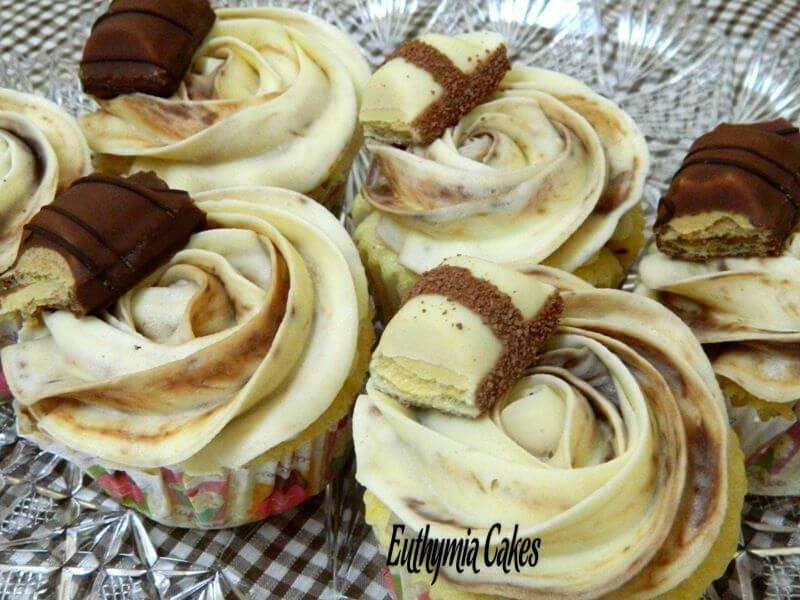 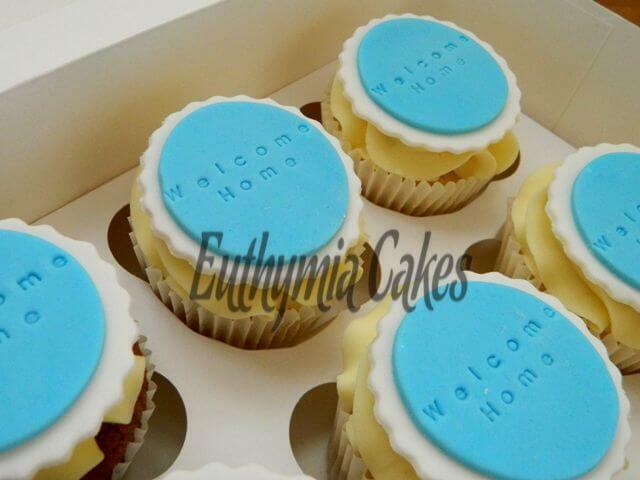 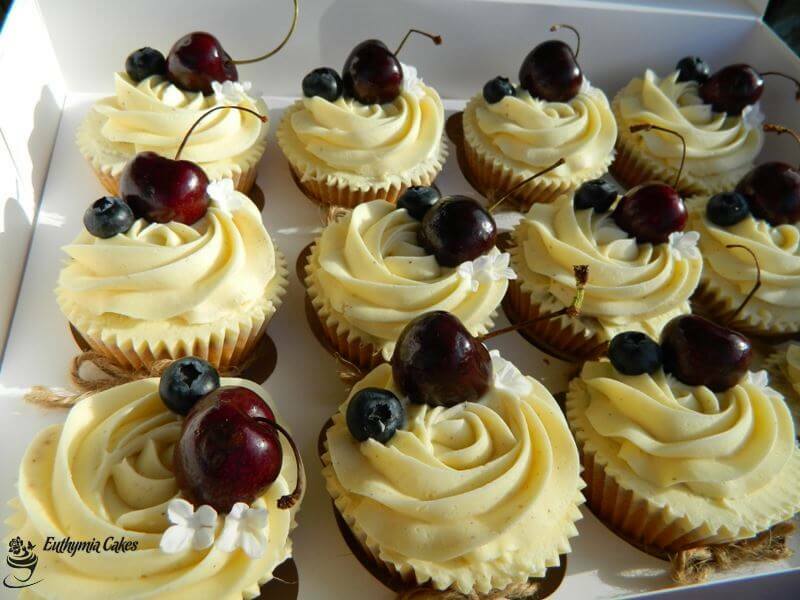 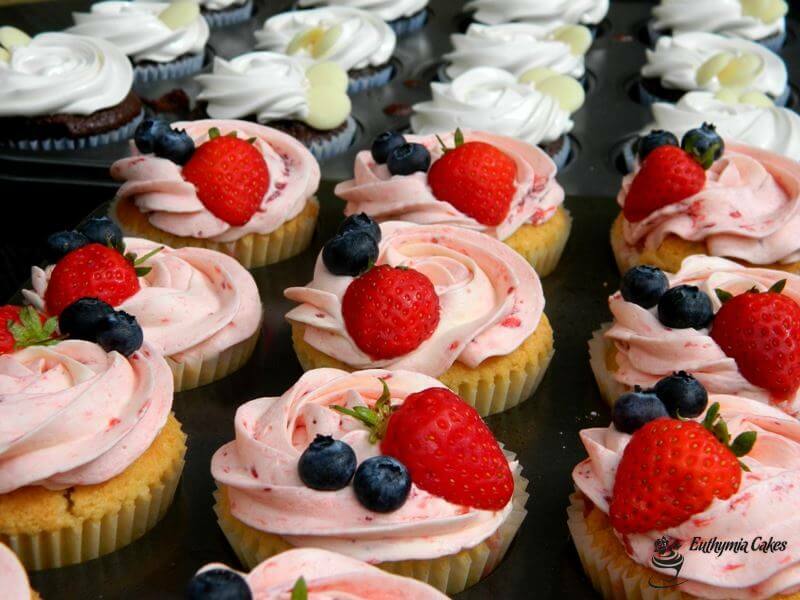 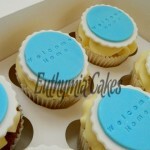 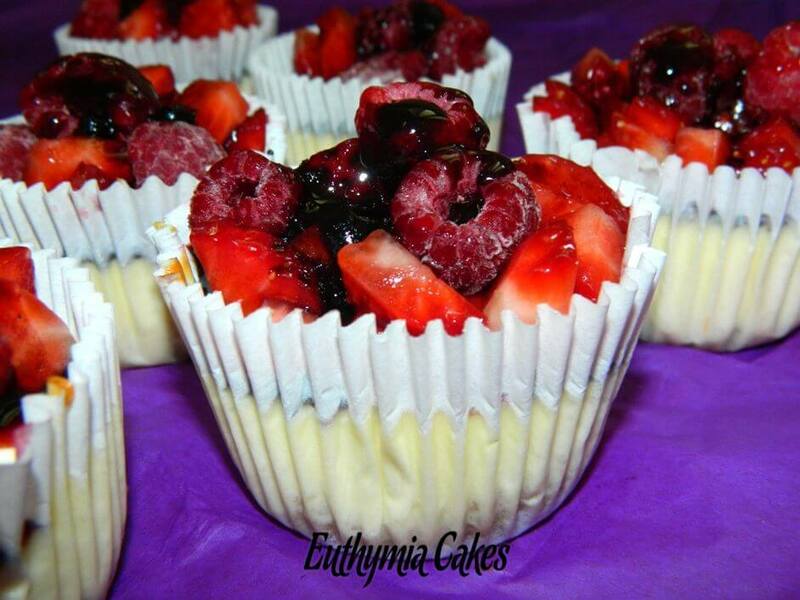 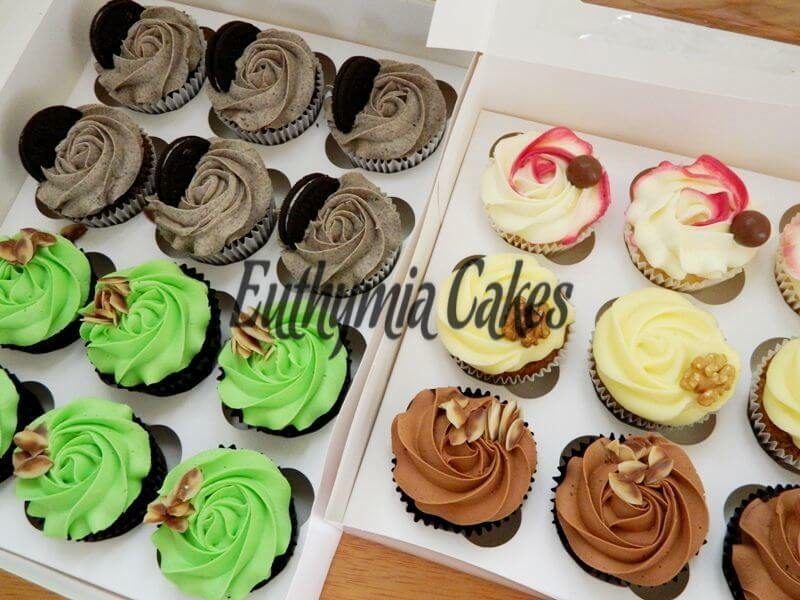 These lovely little cakes are freshly baked only few hours before they reach you. 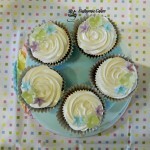 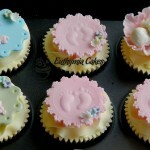 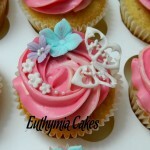 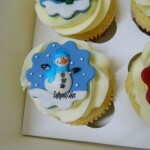 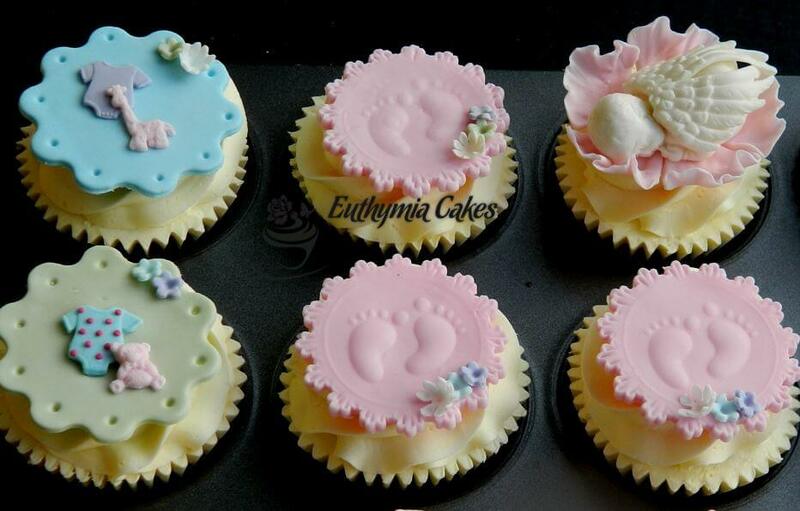 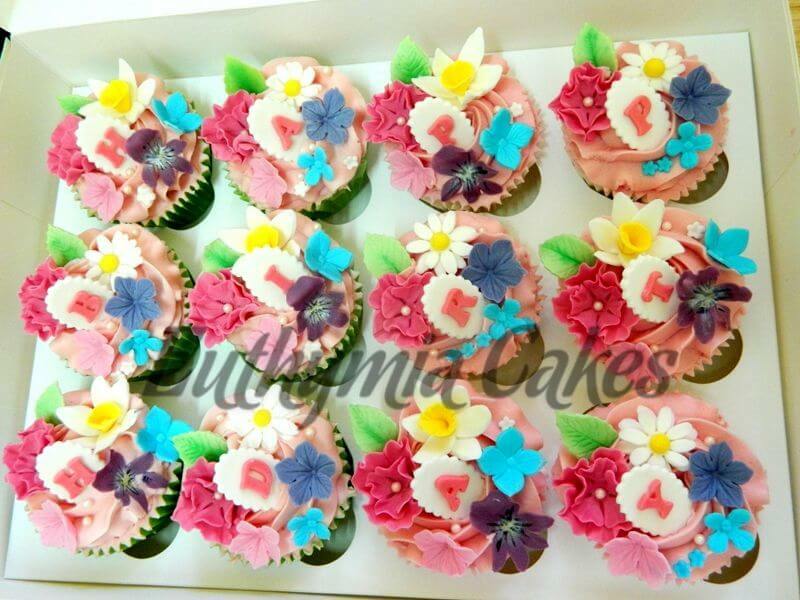 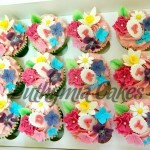 They are frosted and then decorated with hand made sugar toppers unless you prefer artificial cupcake decorations. 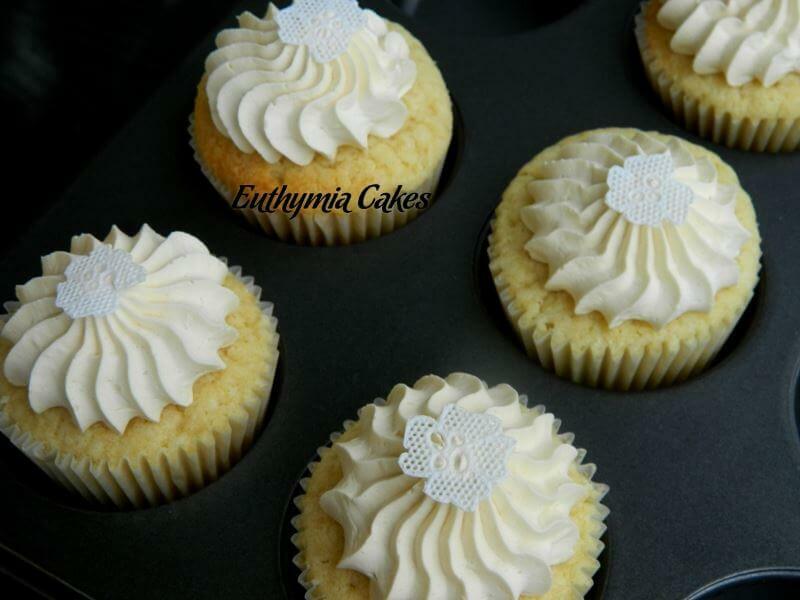 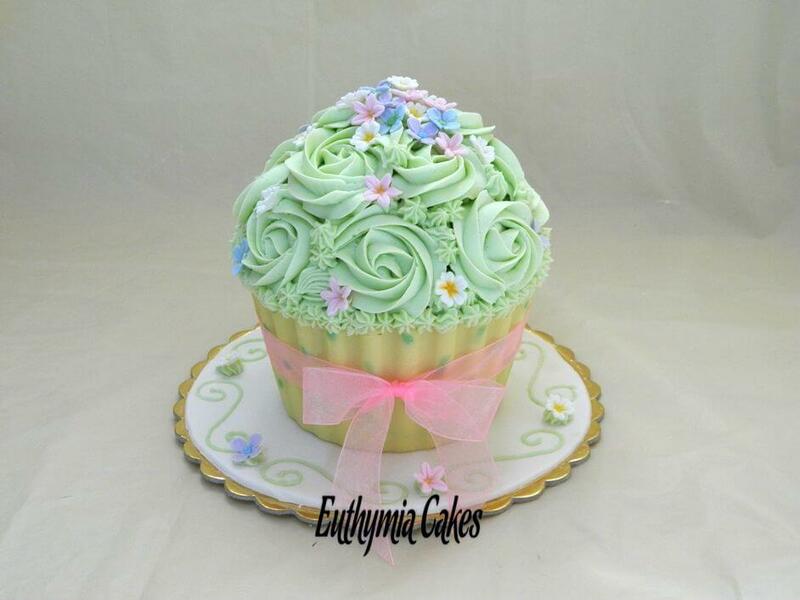 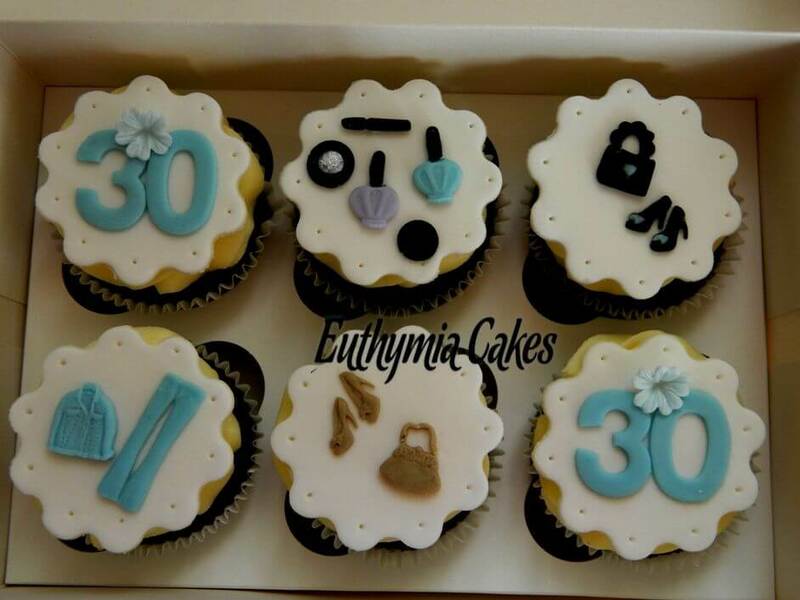 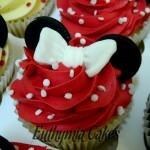 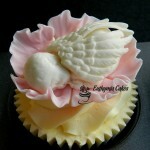 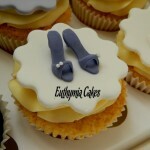 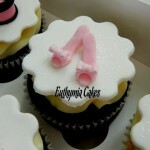 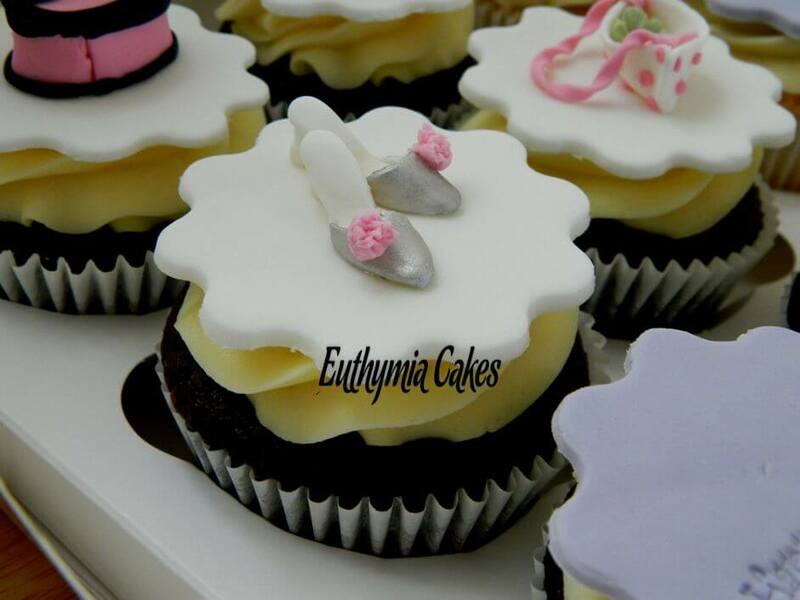 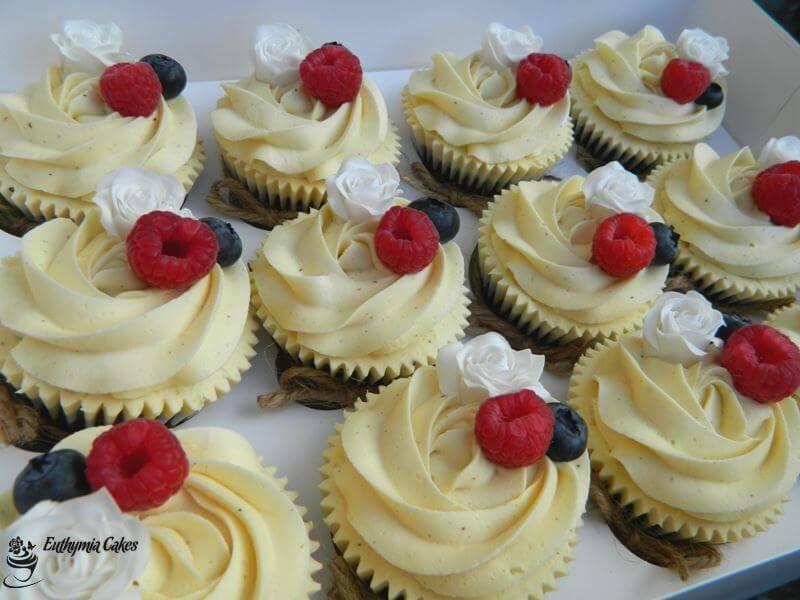 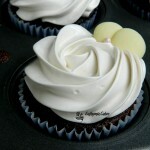 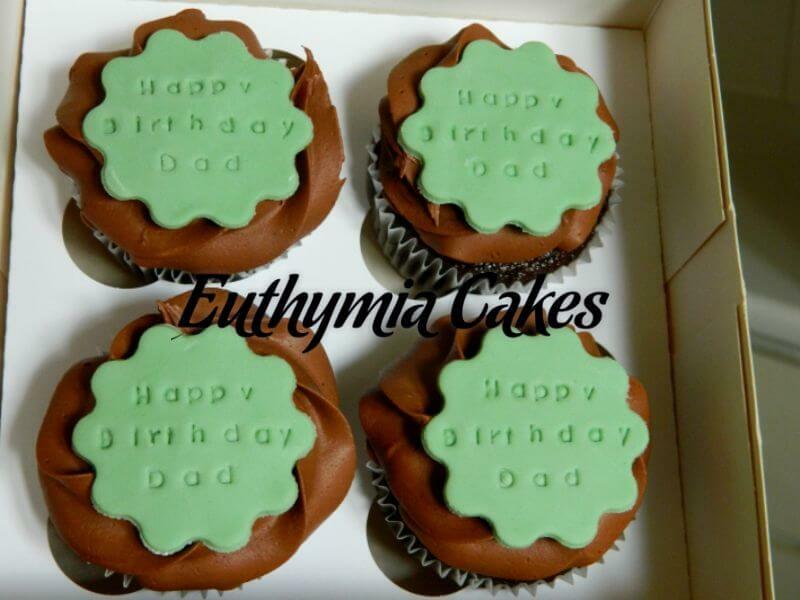 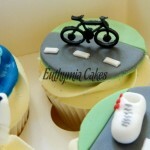 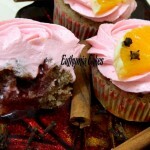 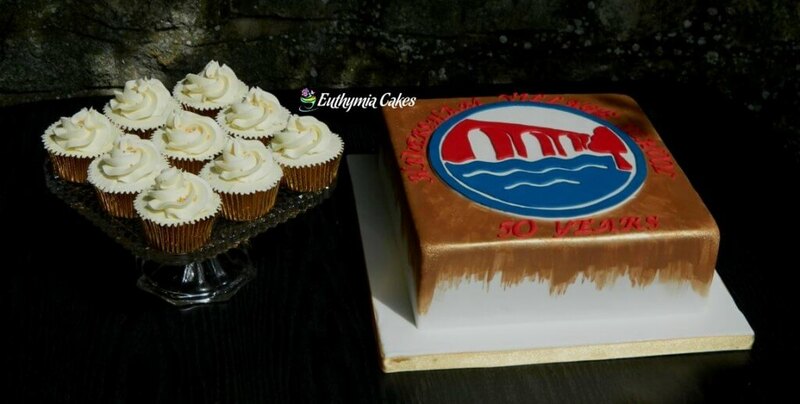 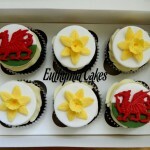 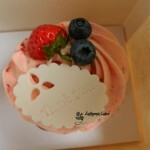 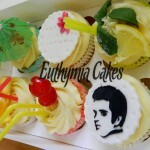 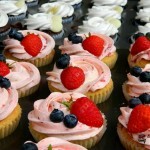 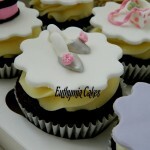 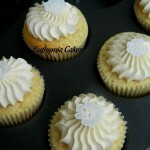 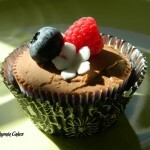 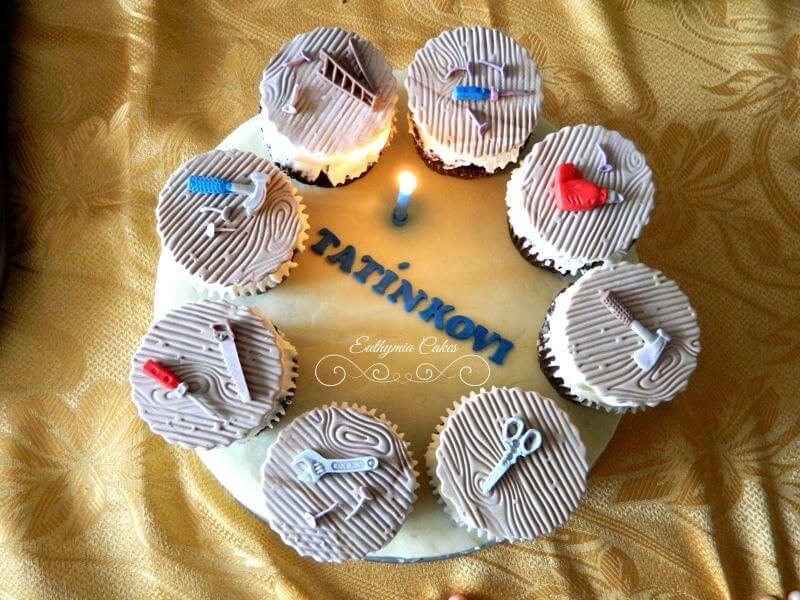 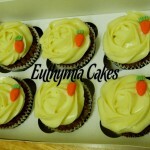 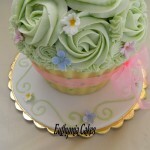 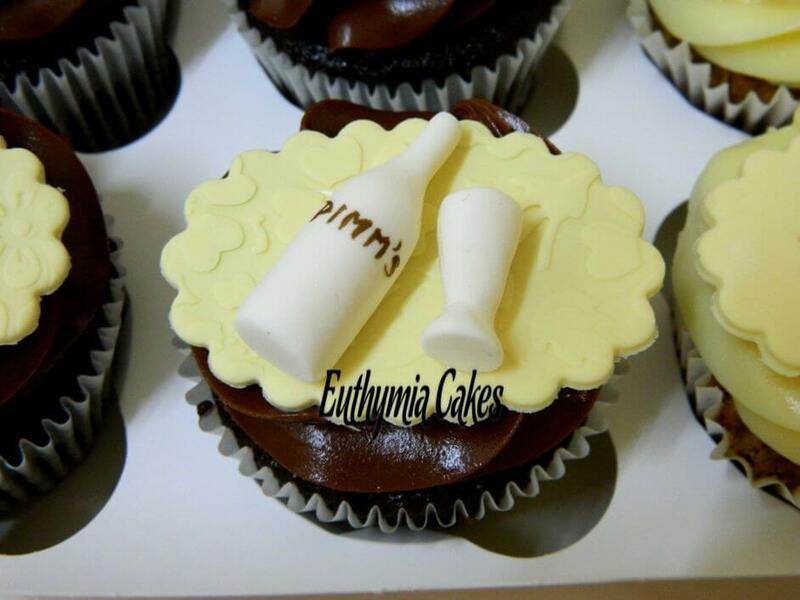 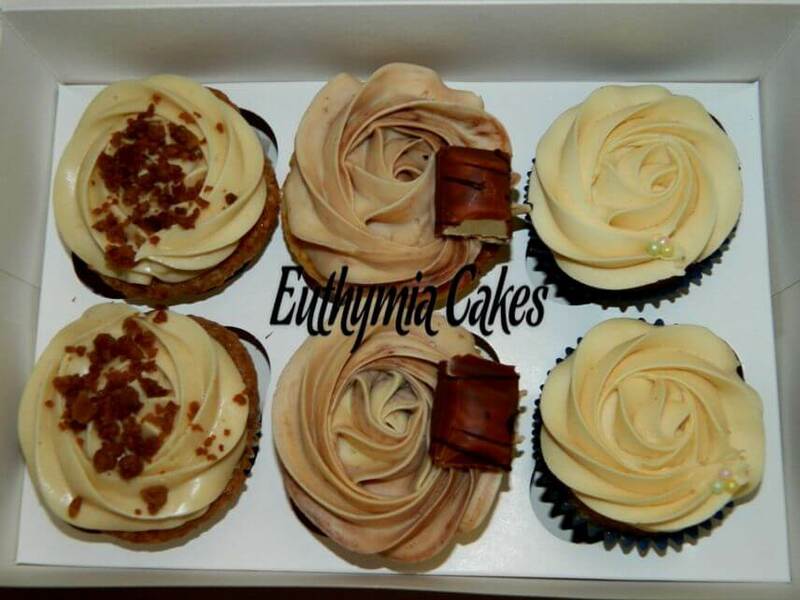 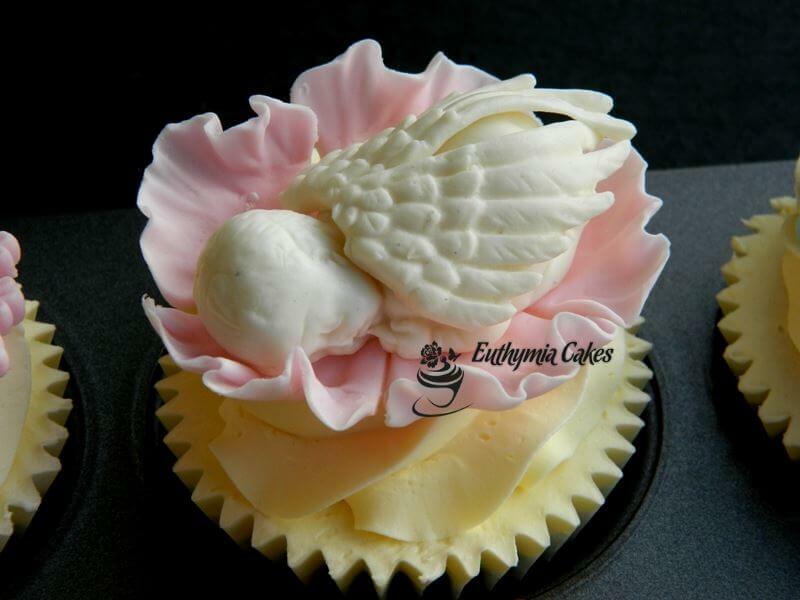 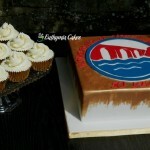 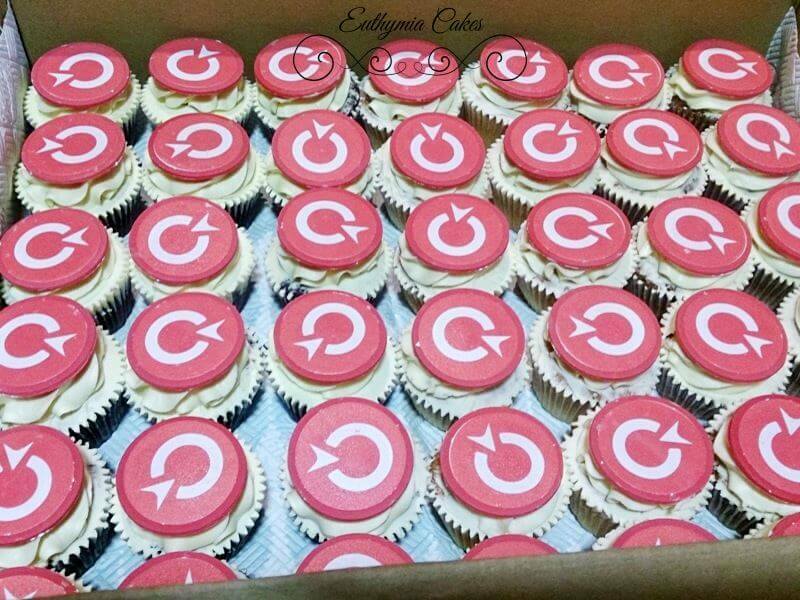 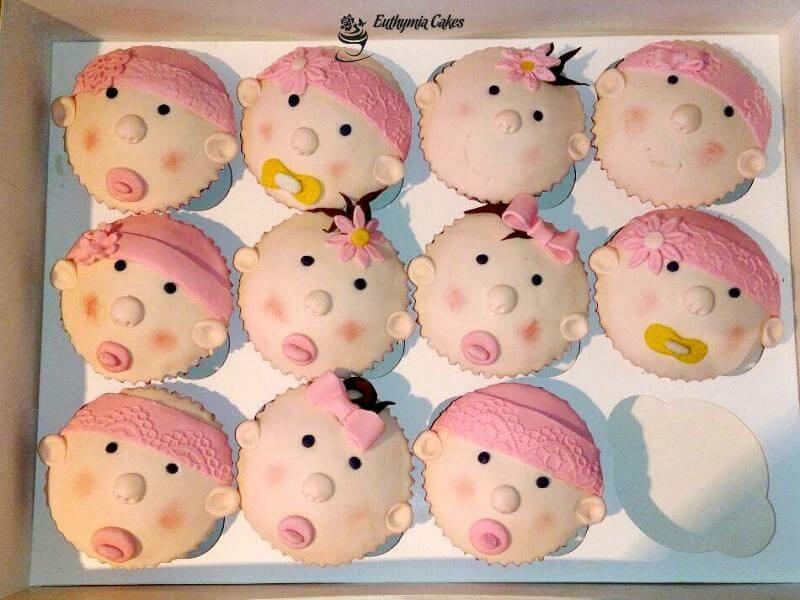 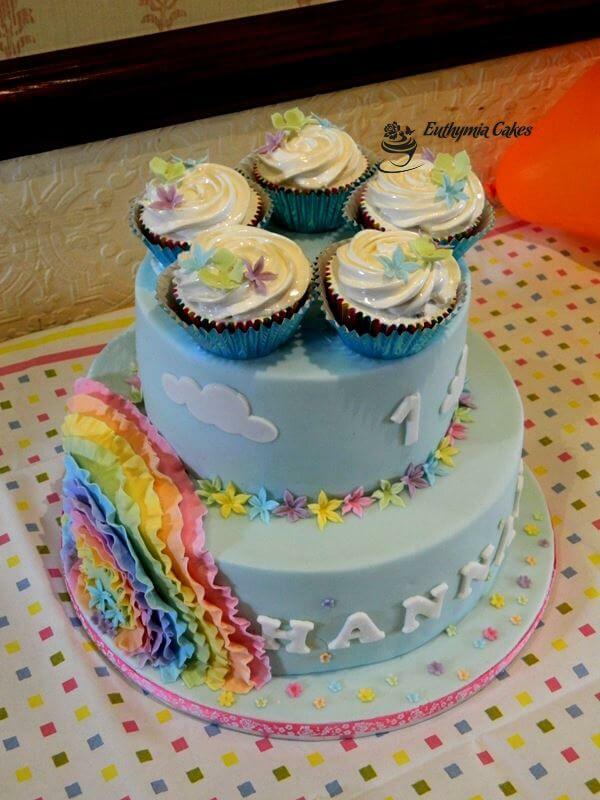 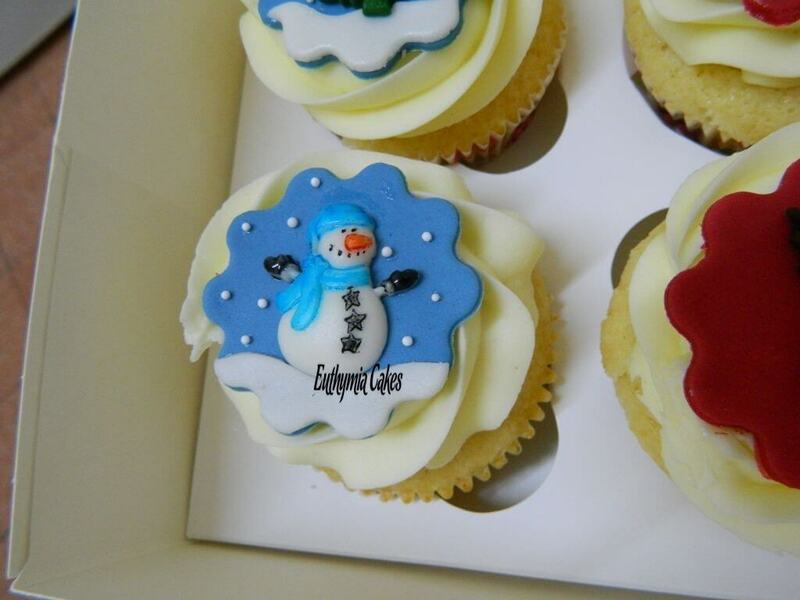 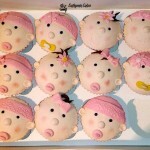 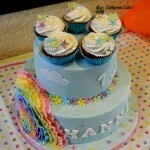 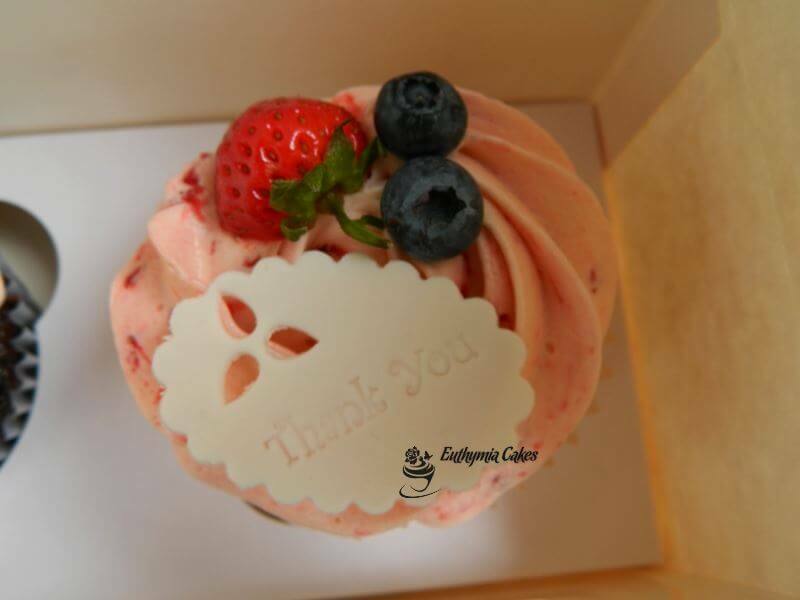 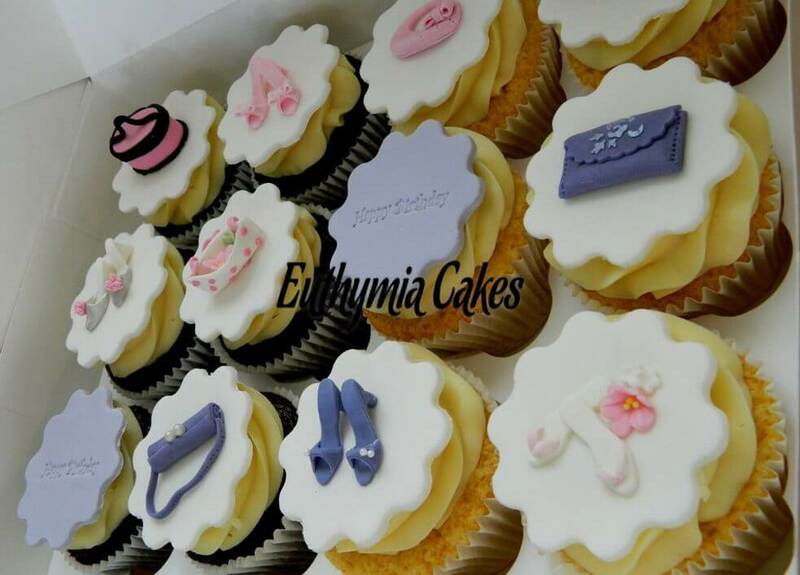 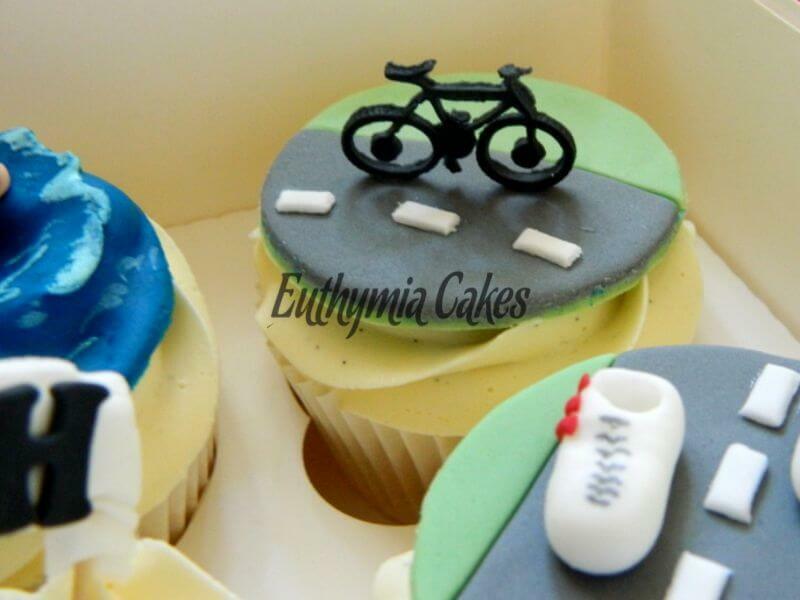 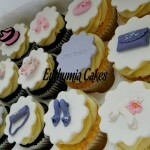 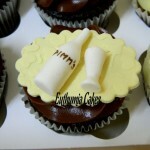 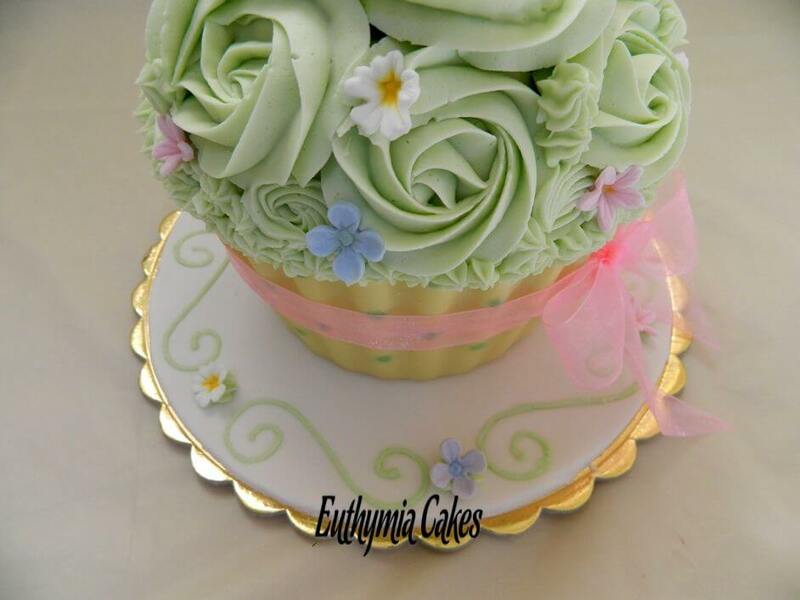 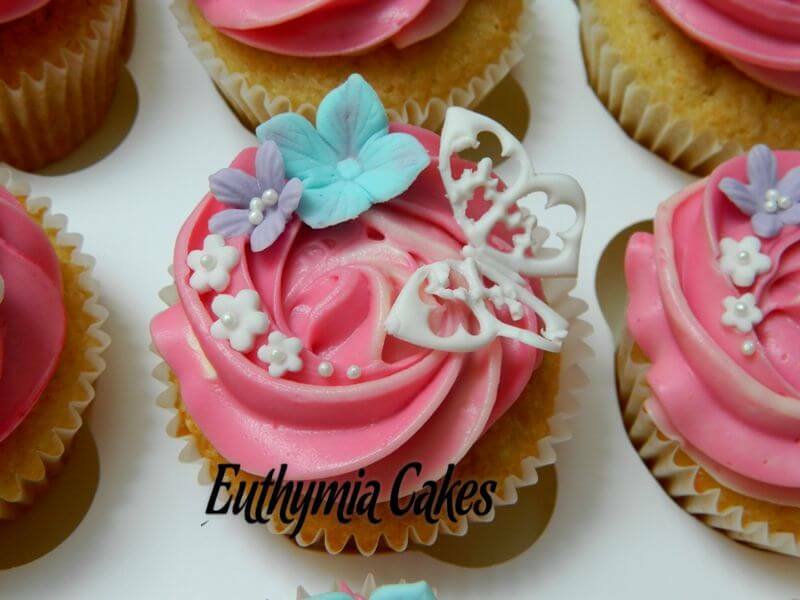 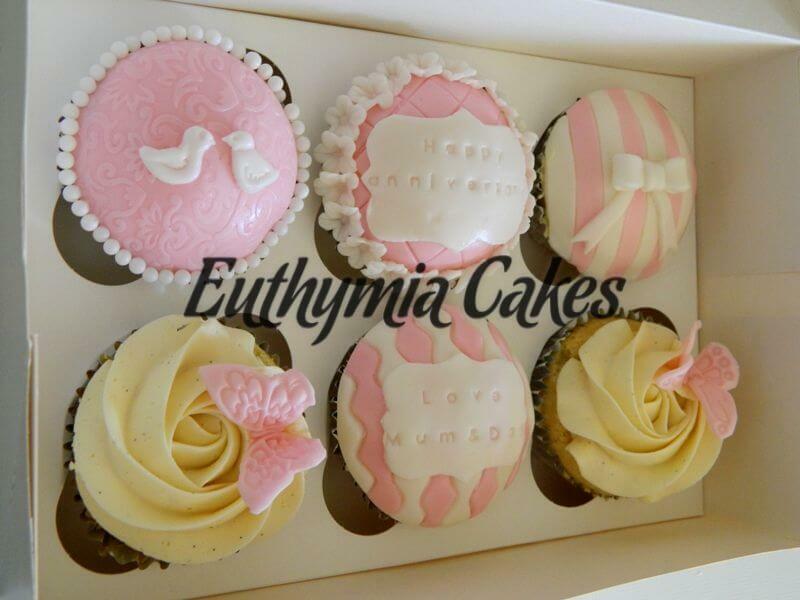 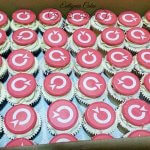 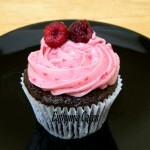 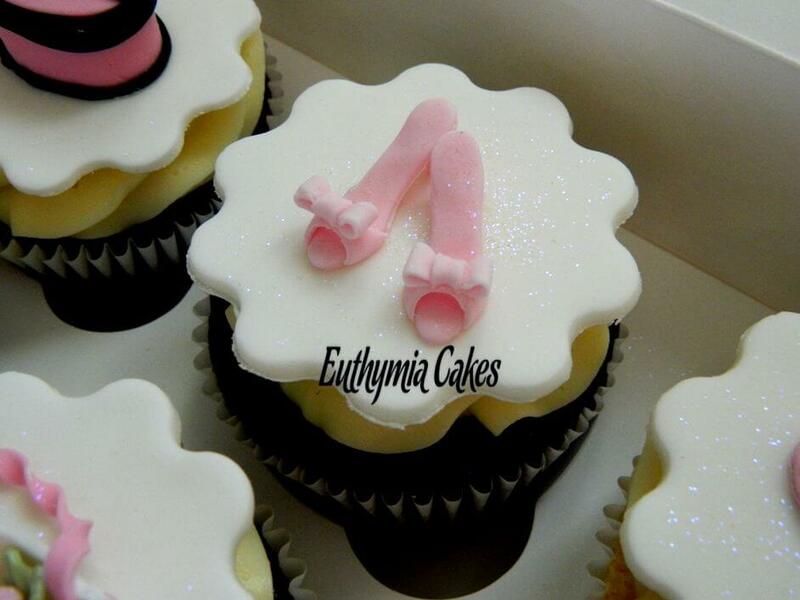 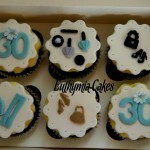 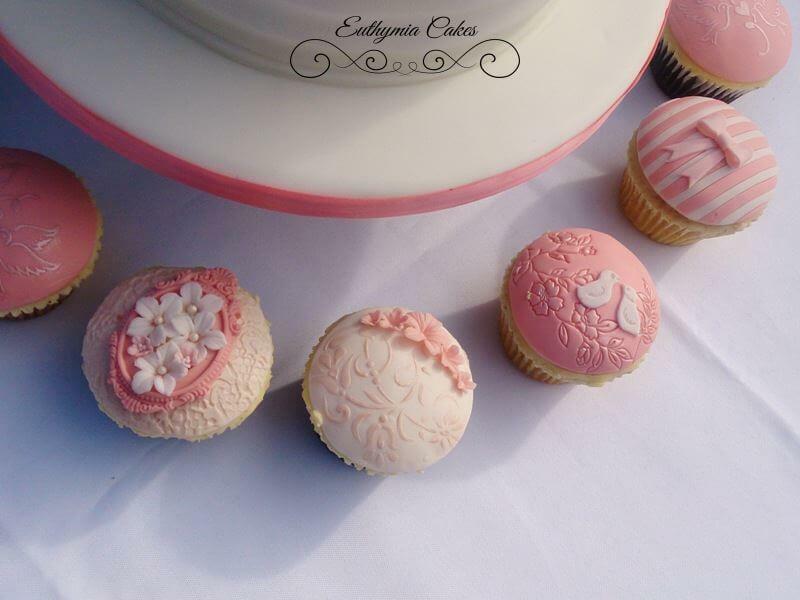 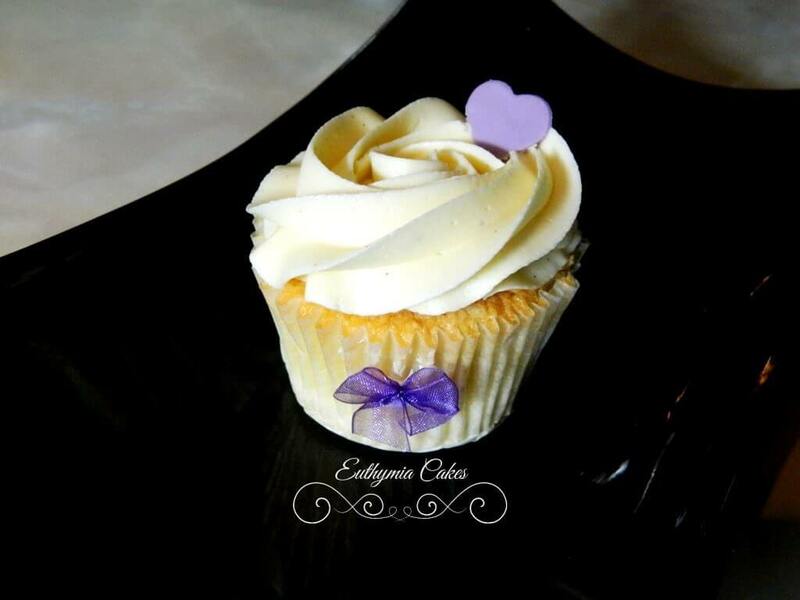 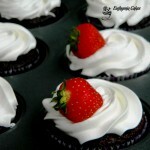 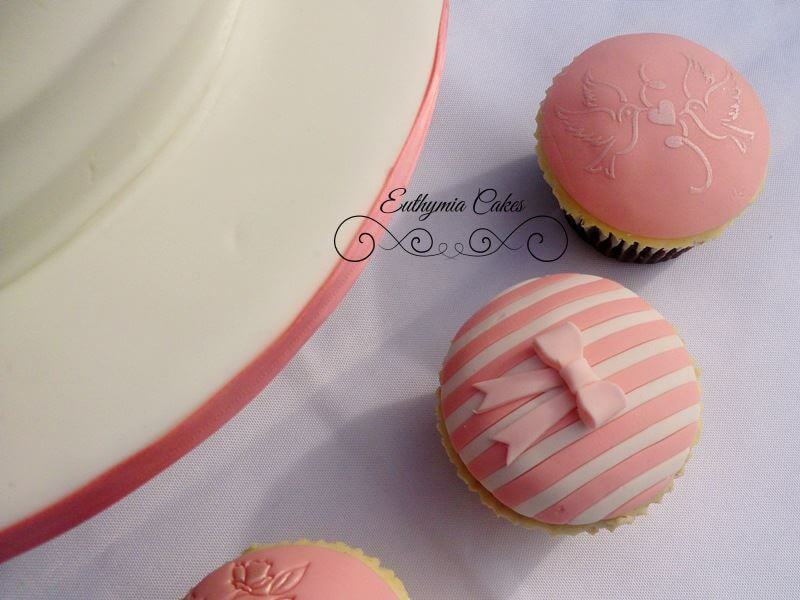 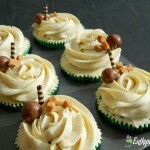 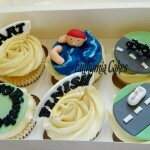 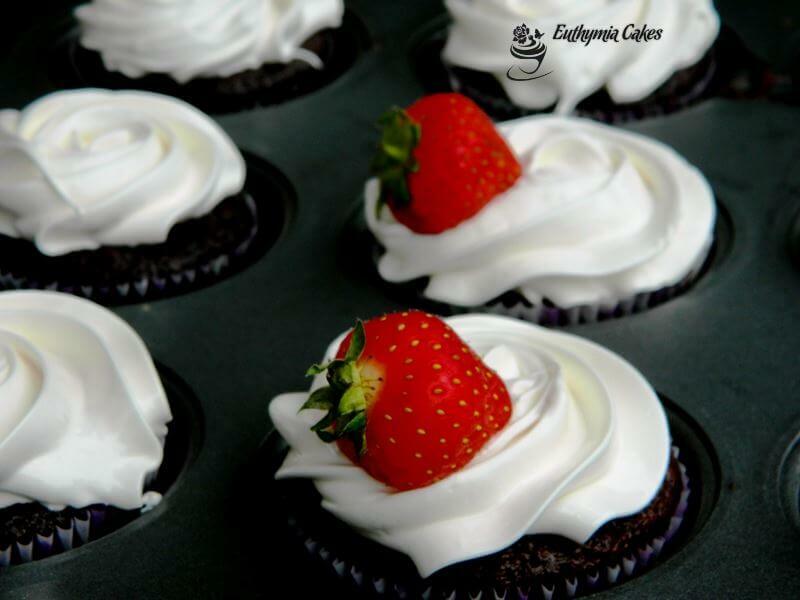 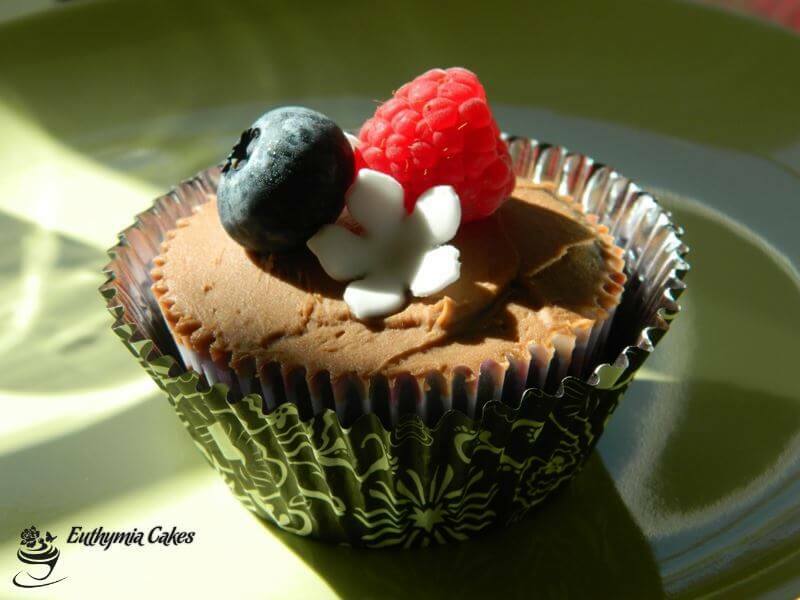 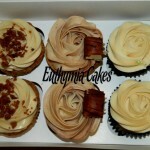 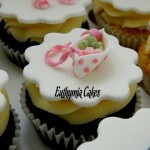 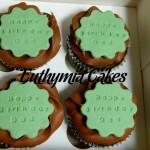 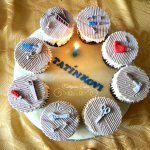 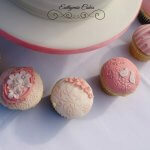 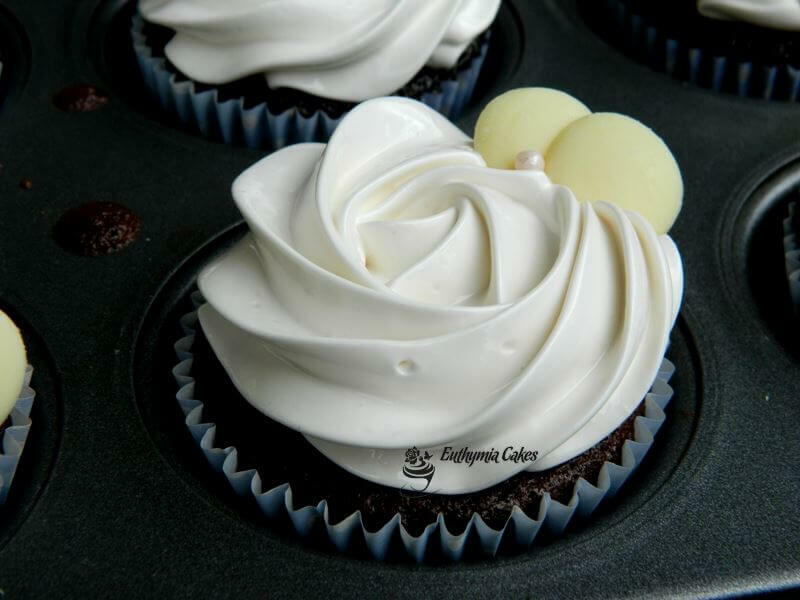 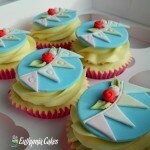 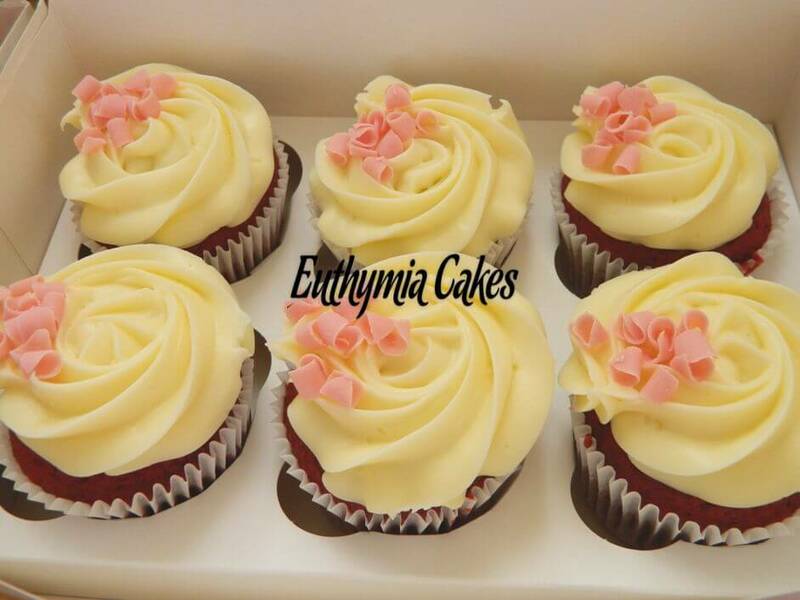 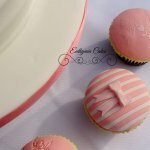 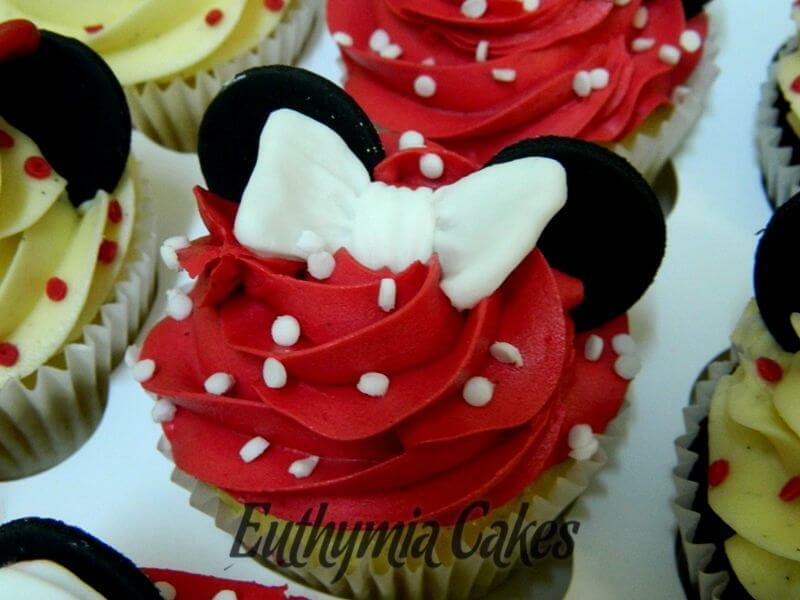 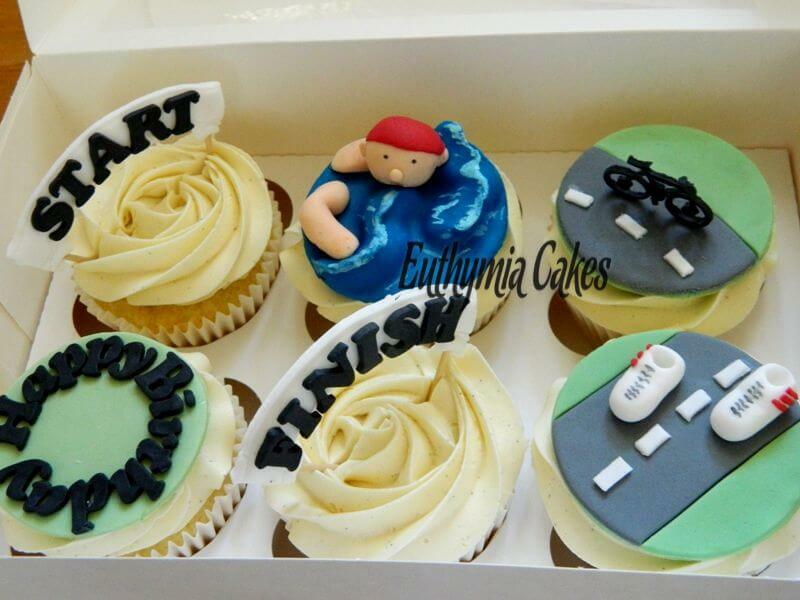 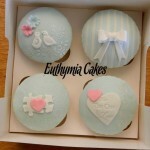 We are happy to design your cupcakes for you or create a custom cupcake based on your own ideas and requirements. 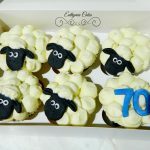 For more inspiration for cupcakes, cakes,party food, theme parties, party decorations and florals, please visit and follow us on Pinterest. 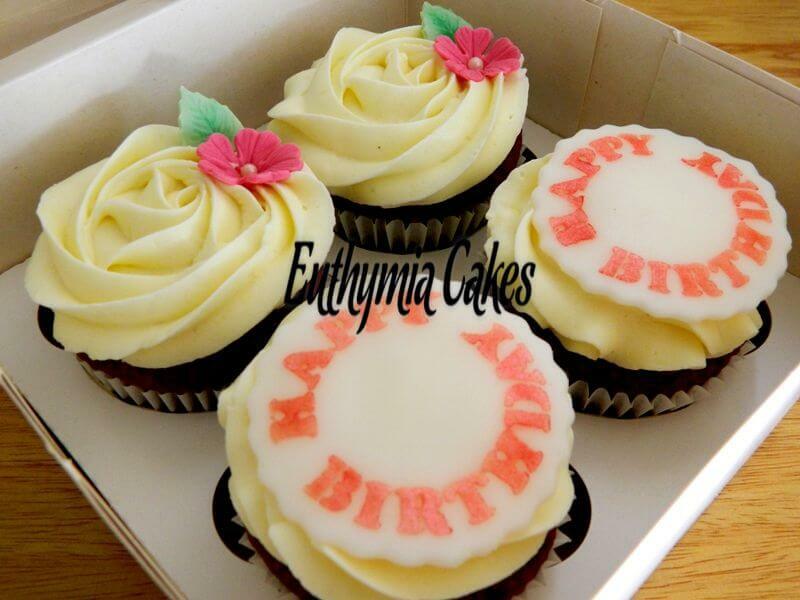 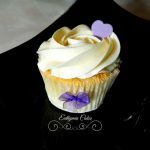 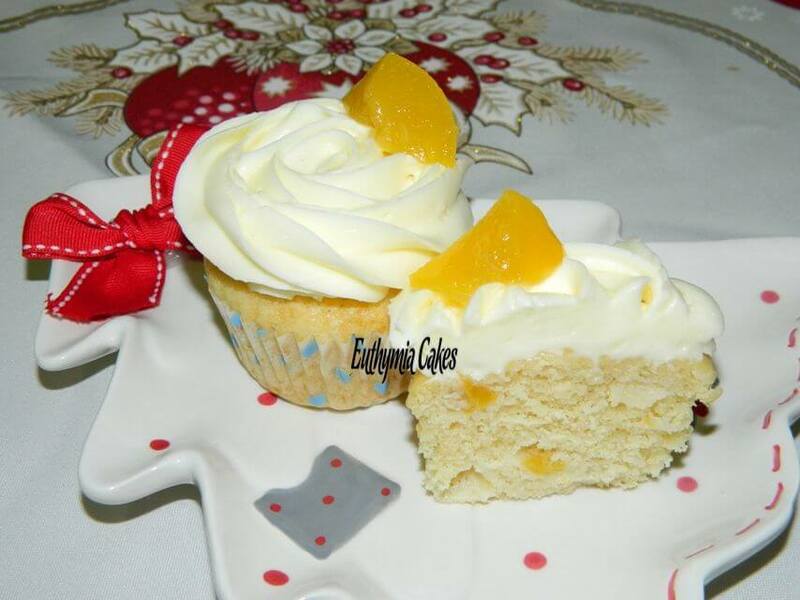 Cupcakes are available packed either individually in a transparent cupcake dome or paper box or boxed to contain 2, 4, 6, 12, 16 or 24 cupcakes. 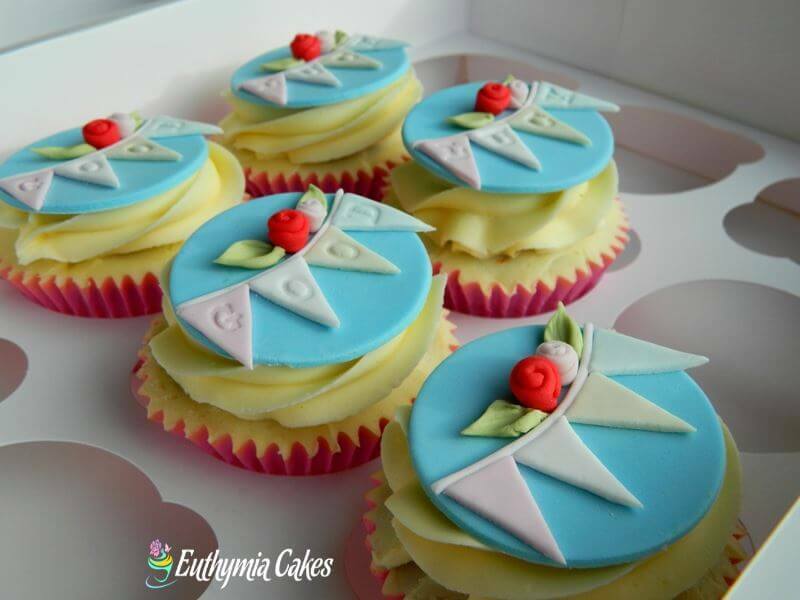 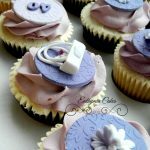 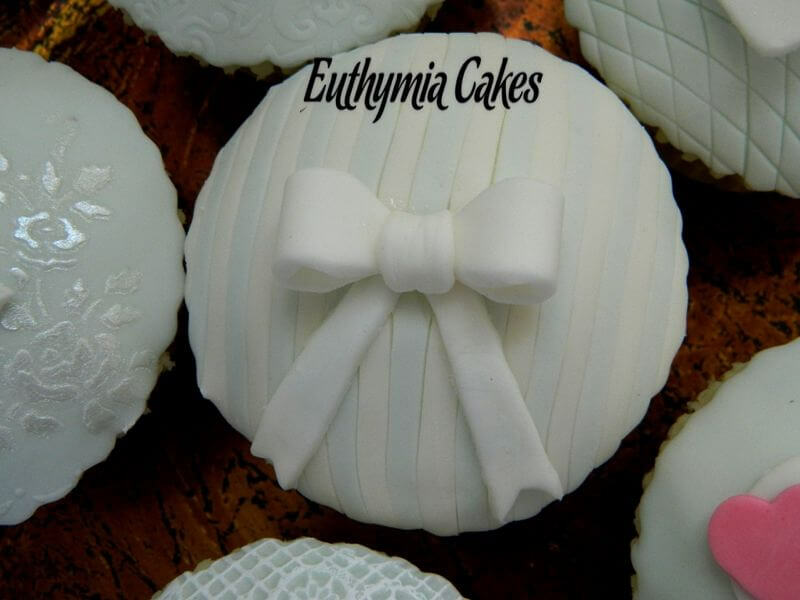 We offer a classic paper or foil cupcake cases, but also cupcake wrappers, ribbons and mini bows to add the special look! 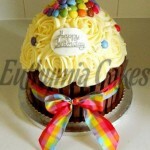 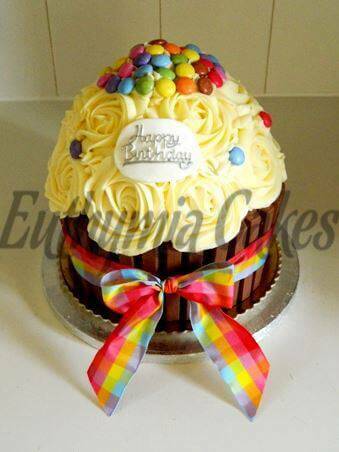 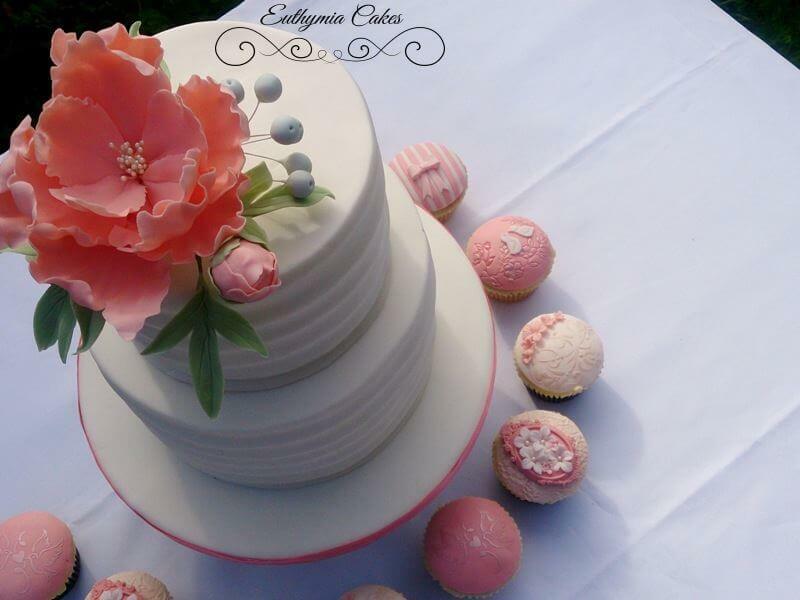 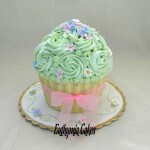 We can provide also a Cupcake tower to display your beautiful cupcakes. 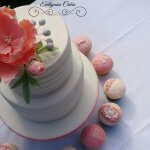 Acrylic cupcake tower and French Macaron stands are available to hire from £15. 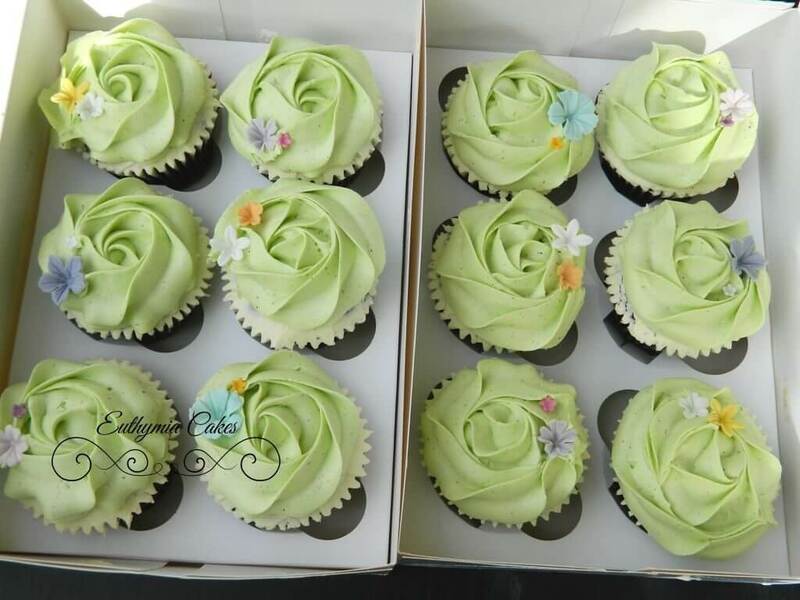 Minimum order is 6 cupcakes of one flavour. 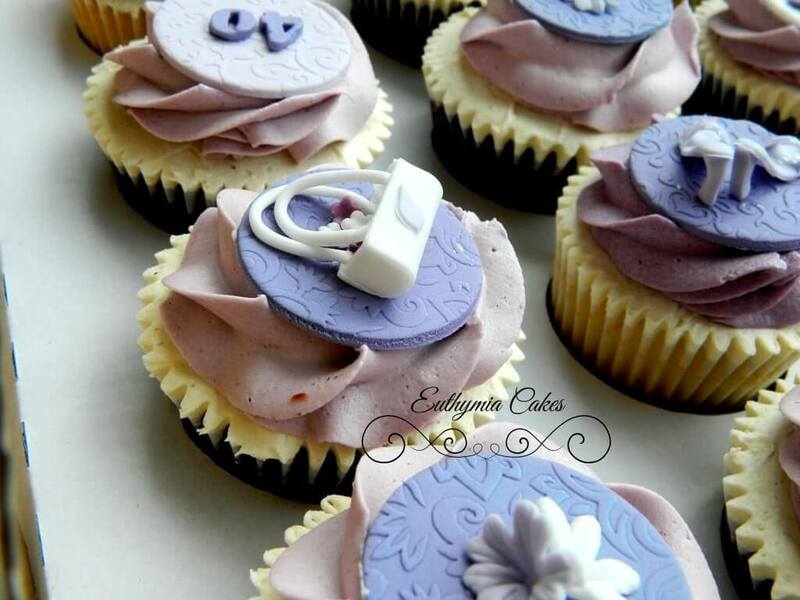 Do you need to order last minute? 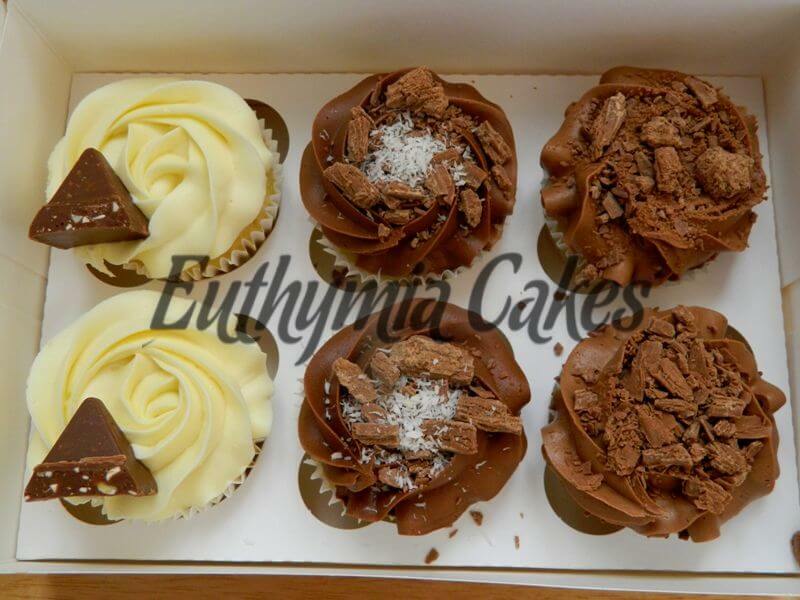 Text or WhatsApp 07930875908 now to check our availability! 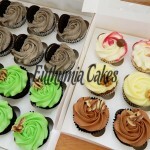 Primary delivery locations are Northampton and Milton Keynes*.